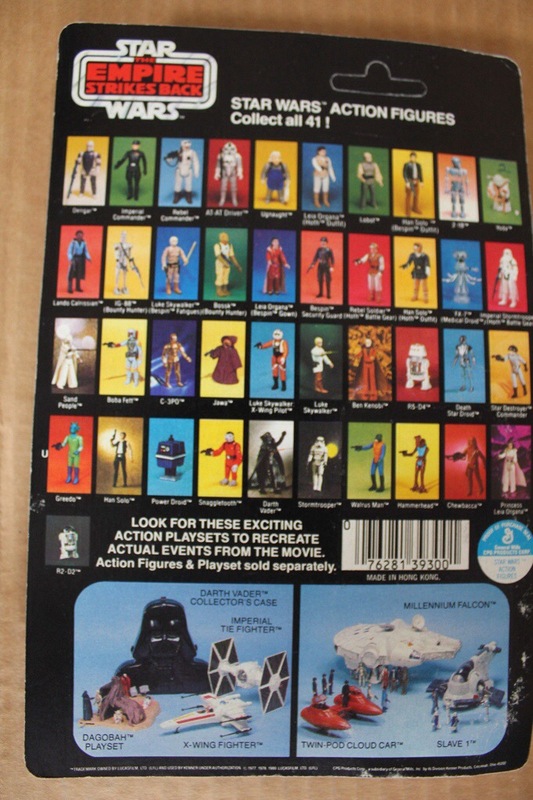 The months trickle on as we vacillate between background character and main character in different outfits. 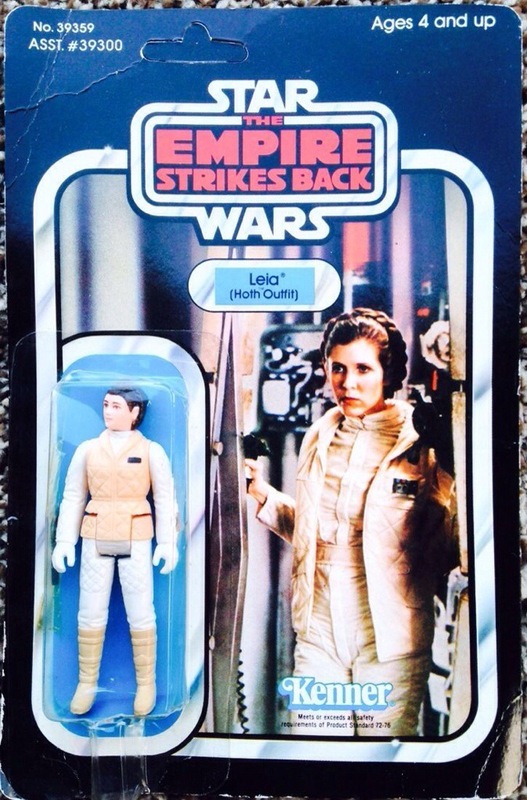 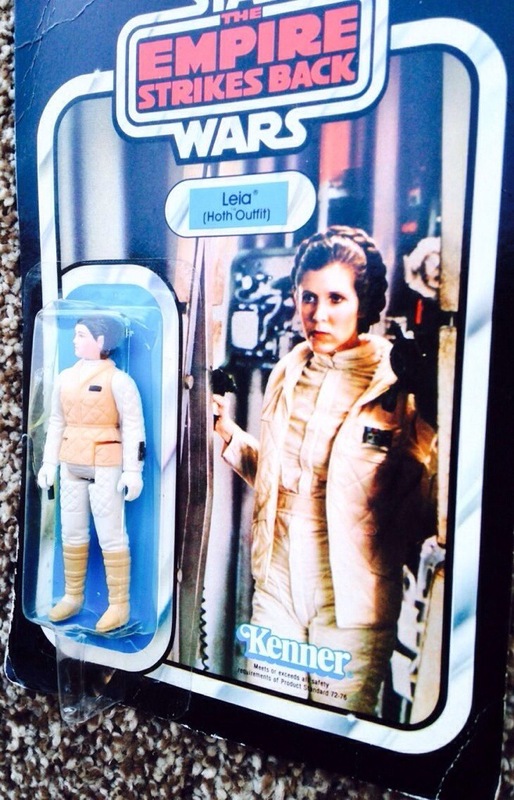 Leia Hoth is a great figure. 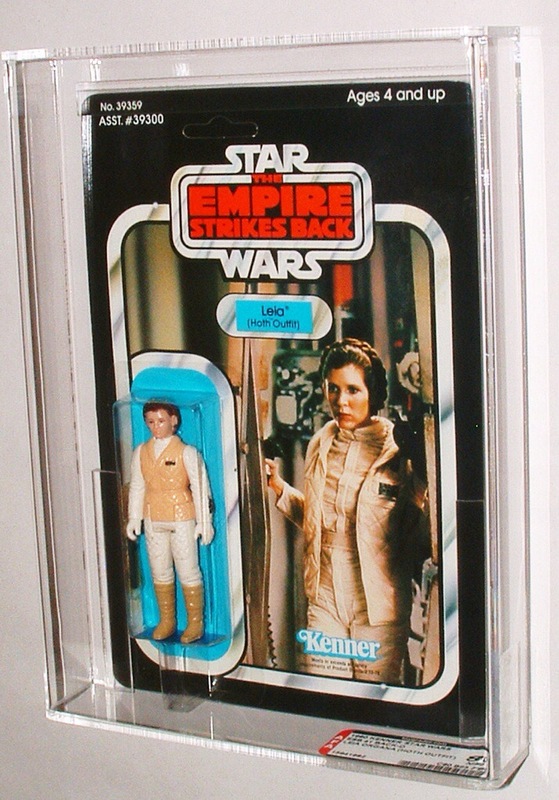 The cardback is great, it works so well with the actual figure standing next to her. 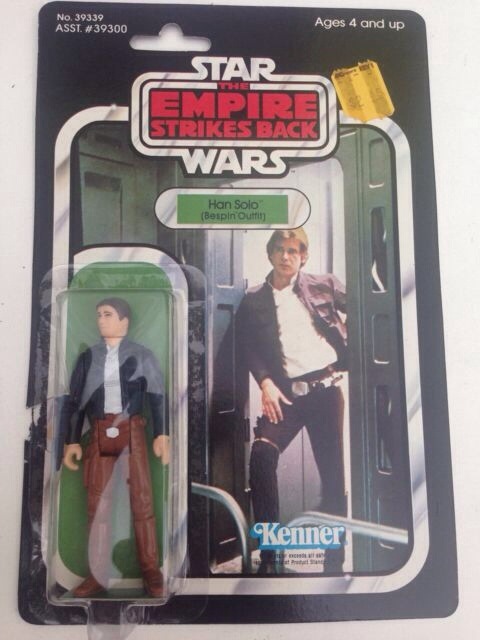 It’s like that was the photo they used to sculpt the figure from. 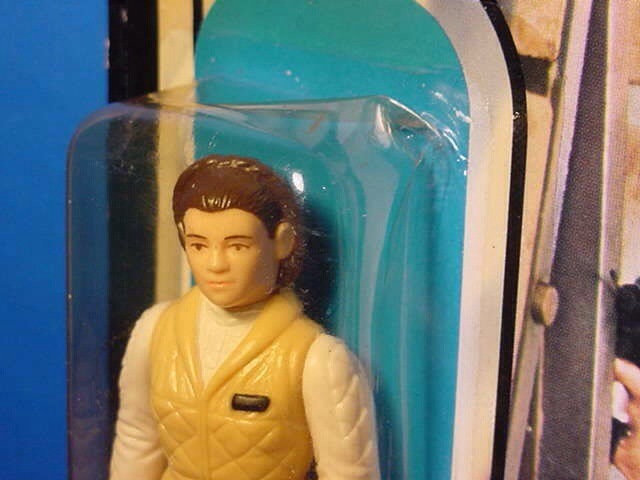 I wasn’t sure what I’d find this month, a main character but just not sure how hard she is to find. 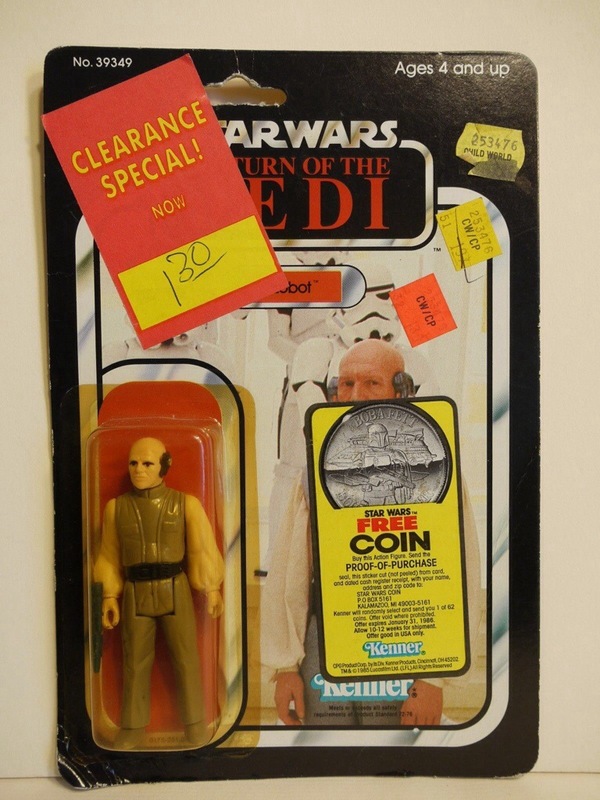 I’m sure there will be a few crazy prices – given the state of the market. 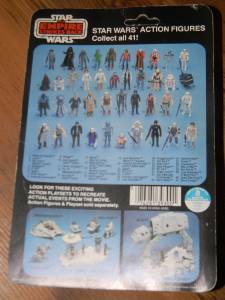 Now here’s a few 41D’s. 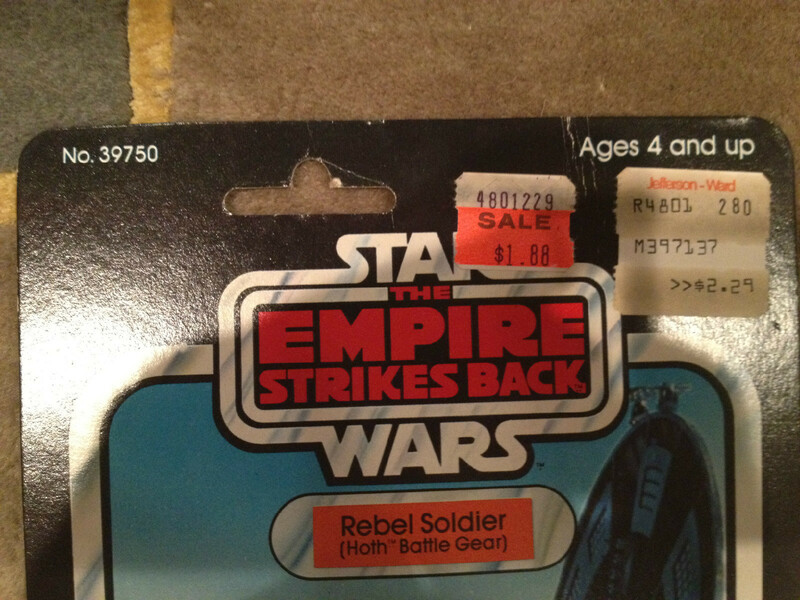 The price increase as the quality improves is quite marked …. 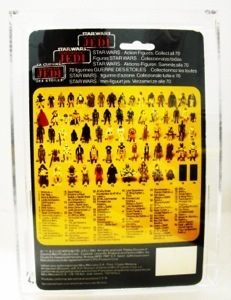 And now it gets crazy … Got to love the AFA85 pieces !!! 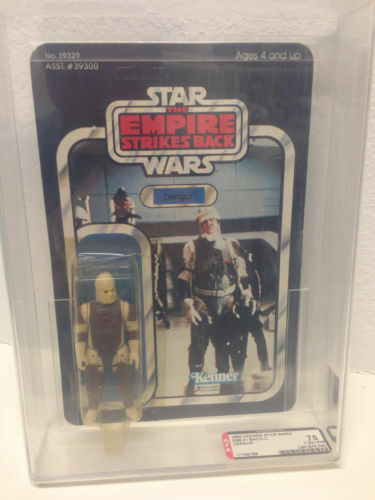 So we’ve gone from under $100 for an ungraded, rough but clear bubble to over $1k, having straight 85’s or better really pushed the price on this piece. 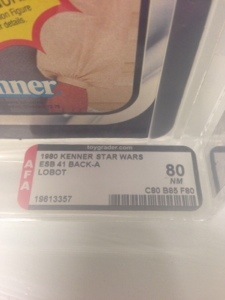 Personally I thought the $360odd for the AFA80 looks like much better value. 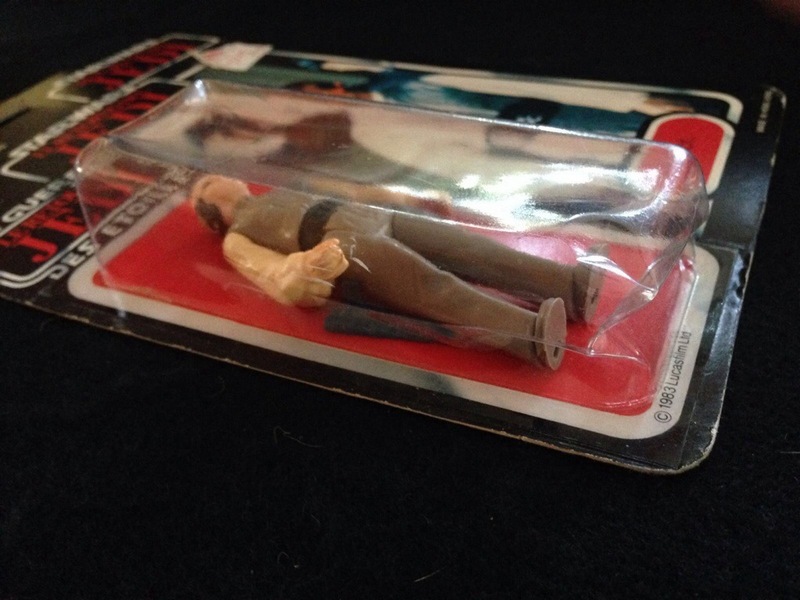 Each to their own. 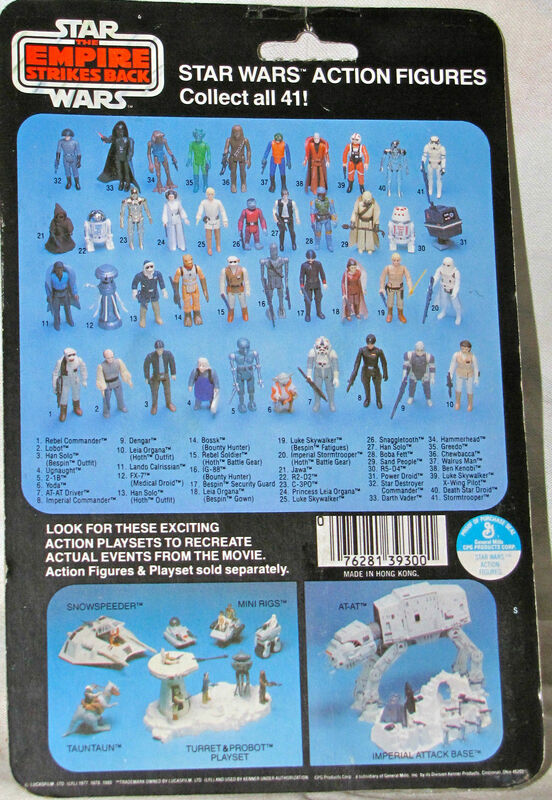 All in all a nice selection. 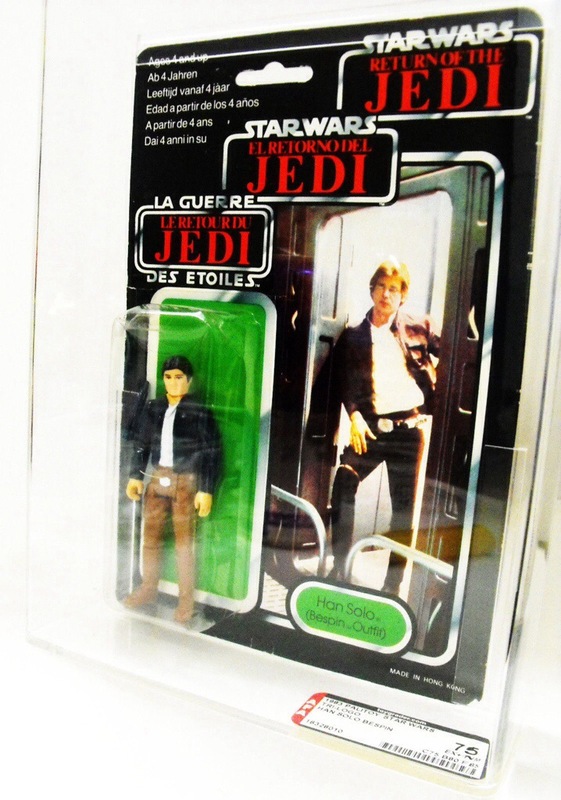 The AFA85 41D was pretty crazy, but that’s the theme these days – high grade + main character = big price. 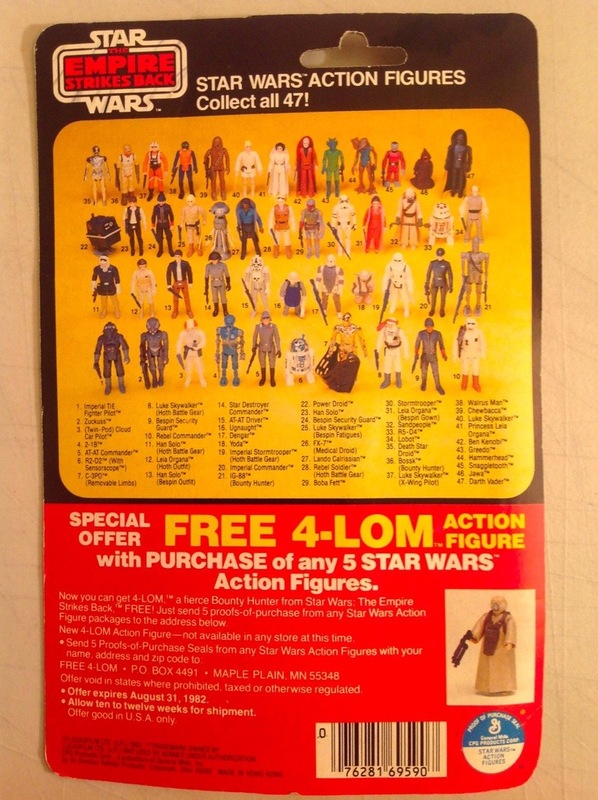 But with all the hype and big prices, there are still a number of decent pieces at reasonable prices to be had. 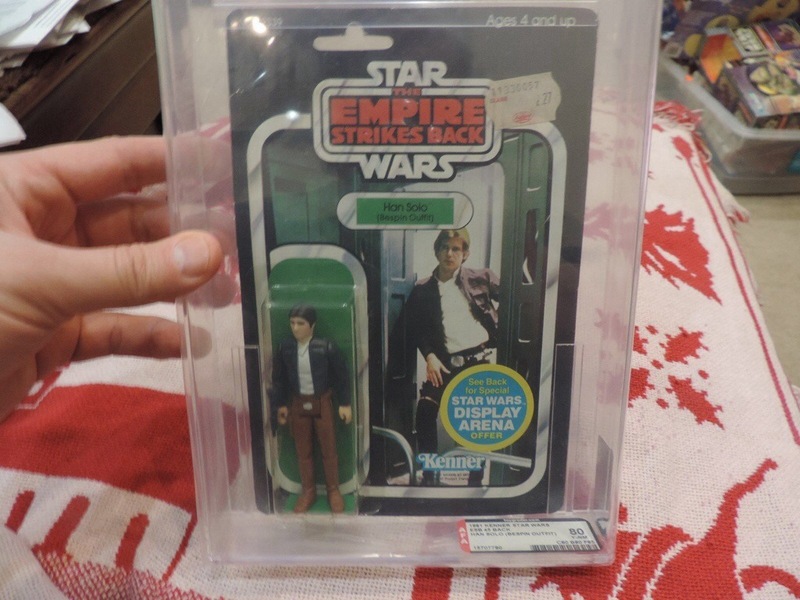 Certainly researching, and not being hung up on an “AFA85” piece will put you in a decent position to pick up pieces at a much more affordable price range. 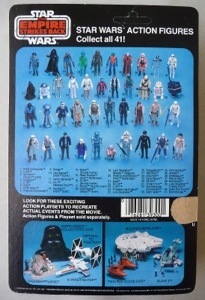 Now we are moving into well into the background characters. 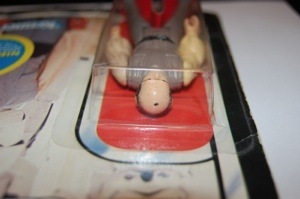 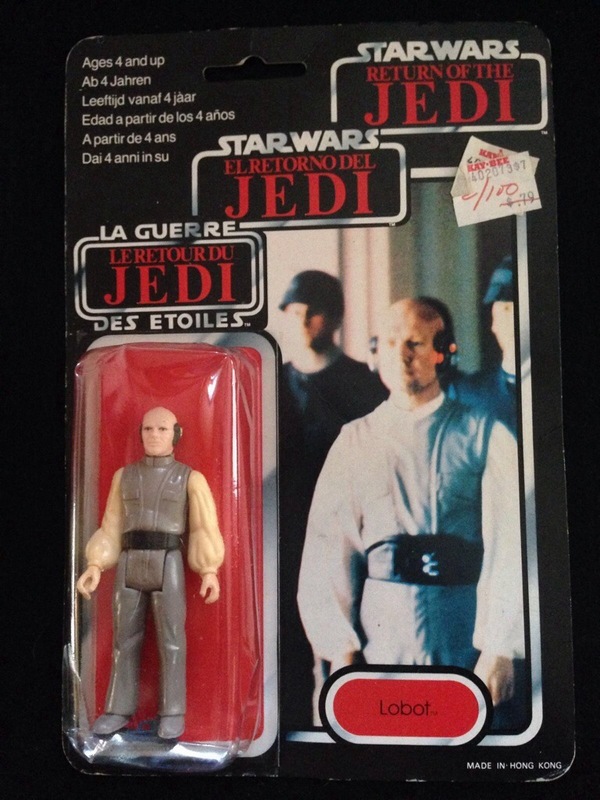 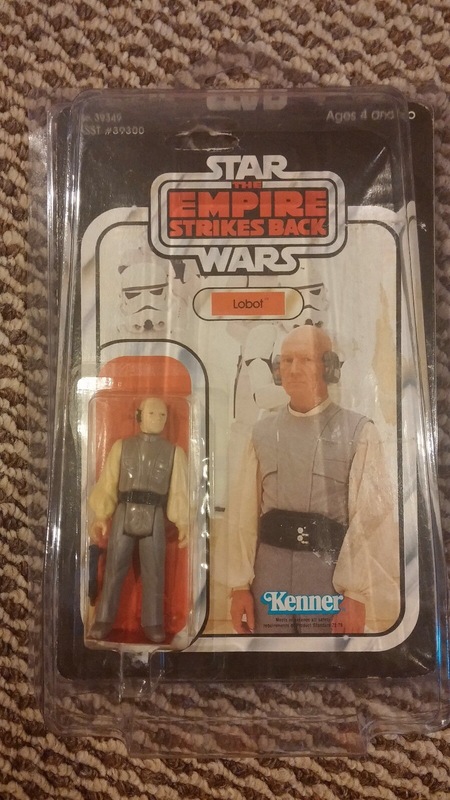 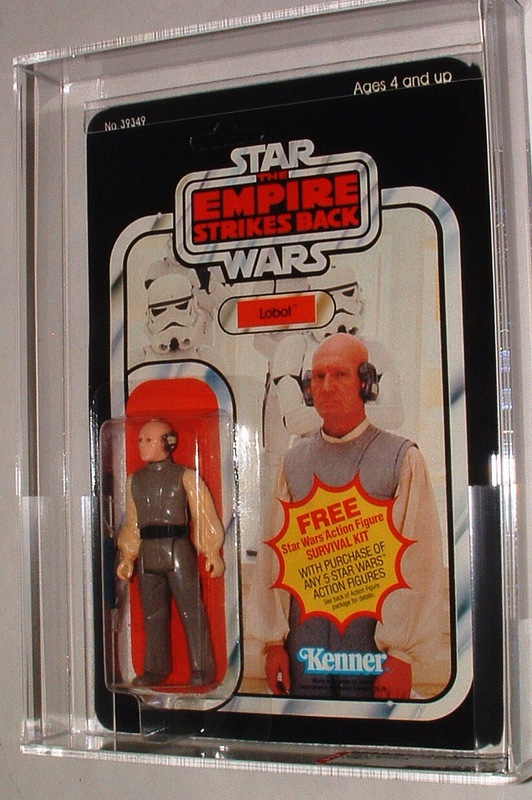 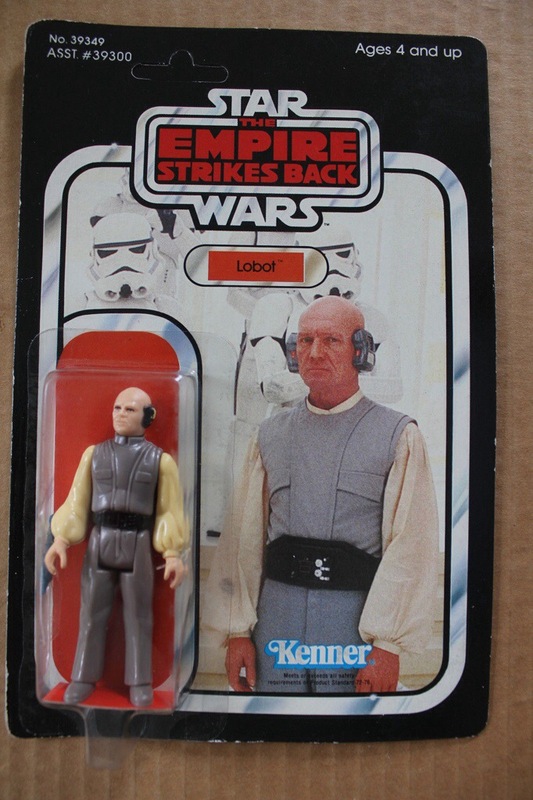 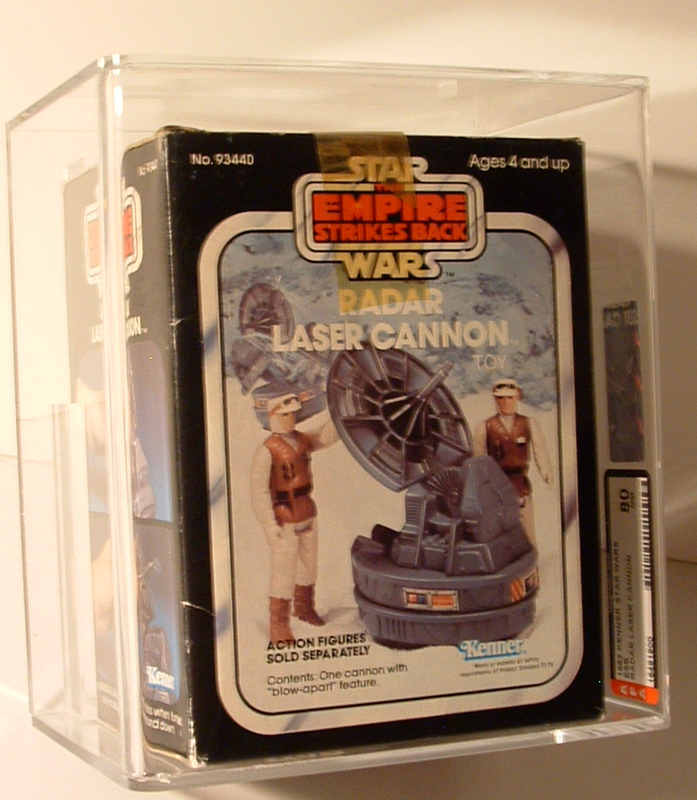 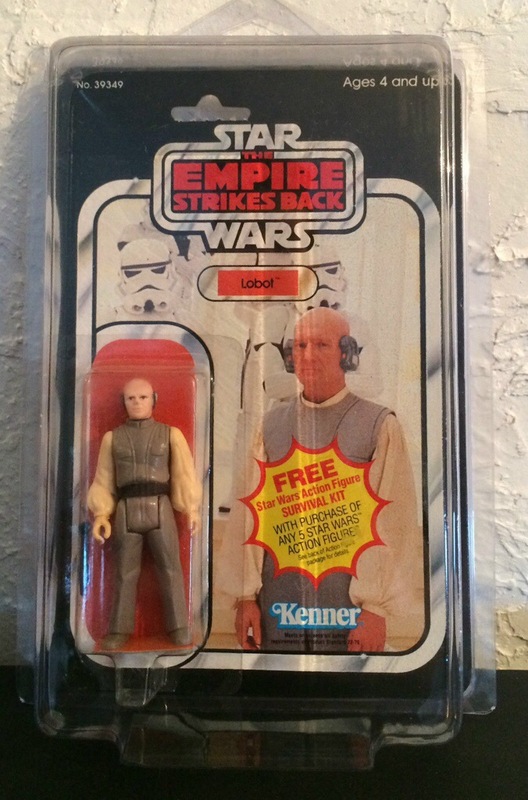 Lobot was an interesting figure as a kid – his hand held the Bespin blaster perfectly (always a plus as a kid). 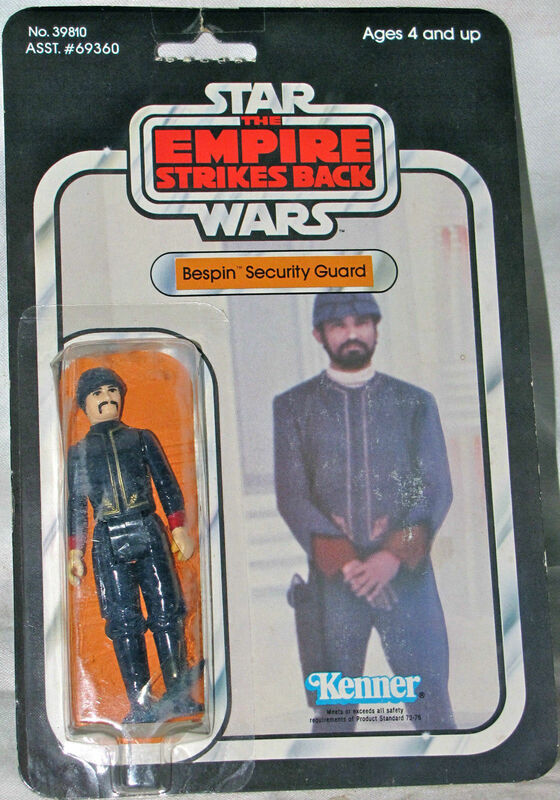 He could also command a squadron of stormtroopers – and then fight against them (double agent of sorts !!). 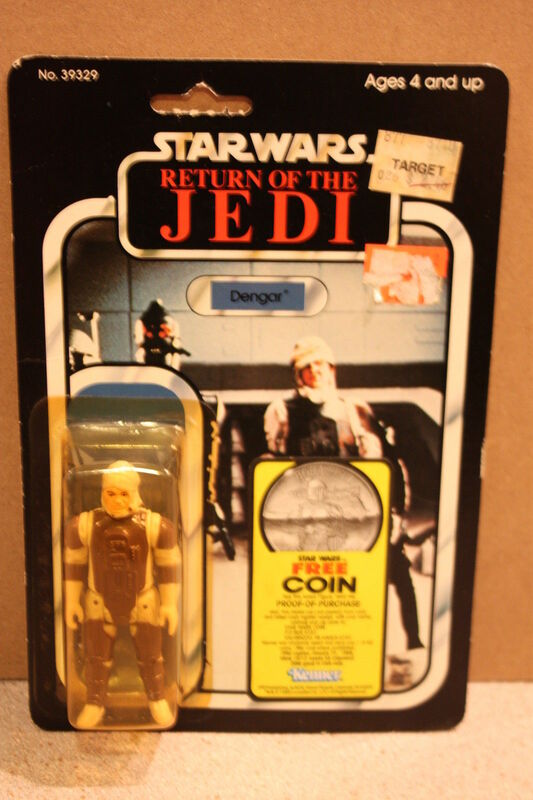 That robotic element on his head was a pretty cool feature. 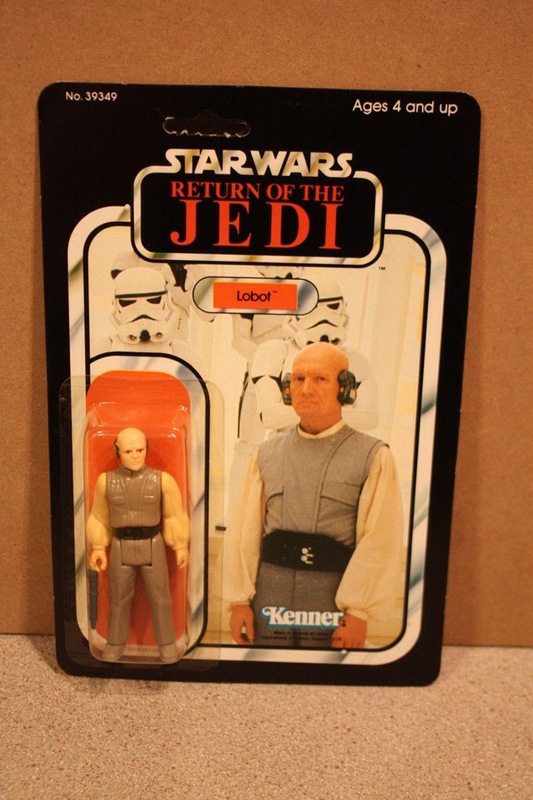 Now onto the MarketWatch for Lobot. 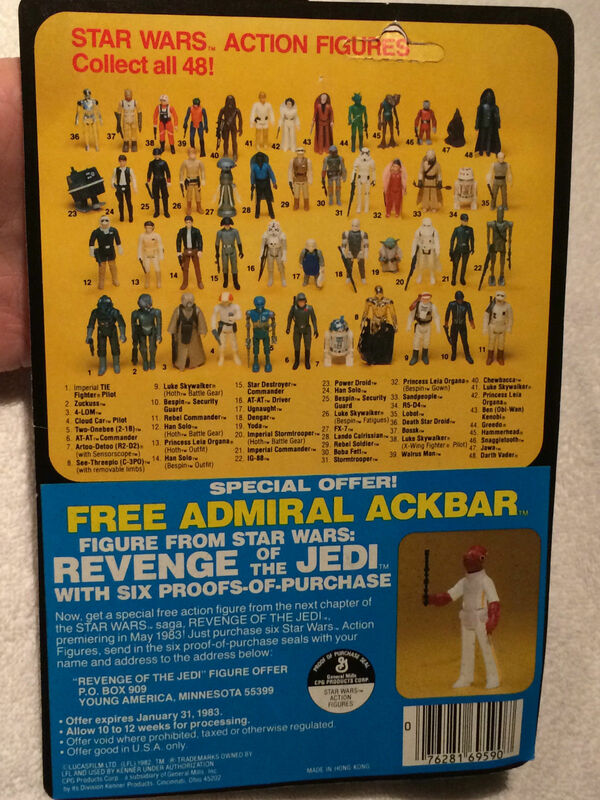 An interesting collection for the month. 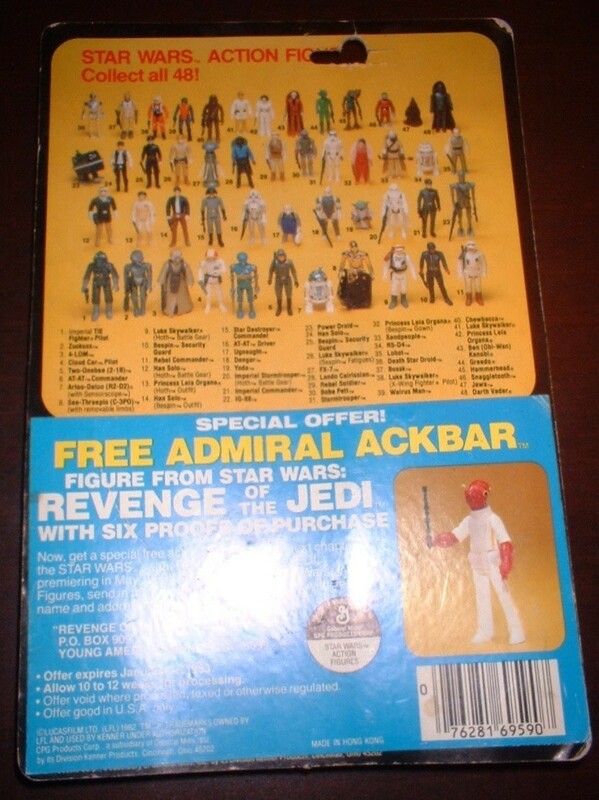 Prices were pretty reasonable. 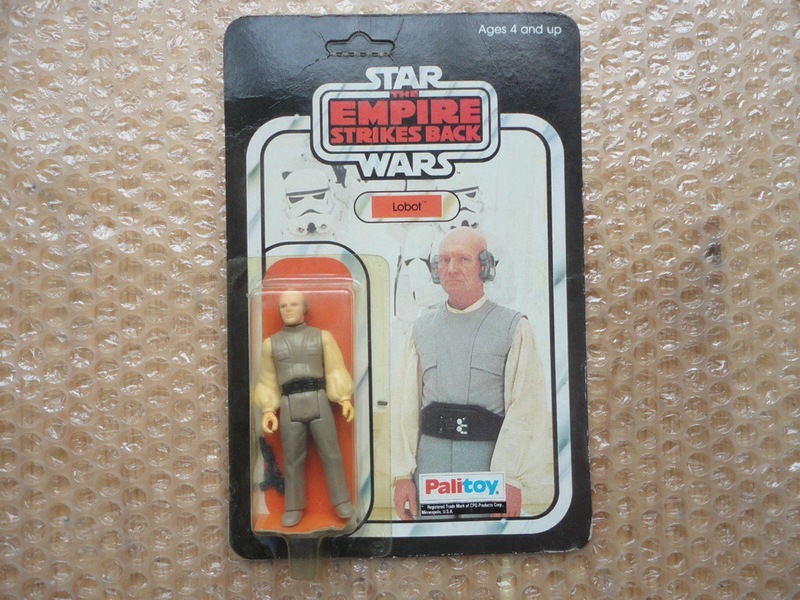 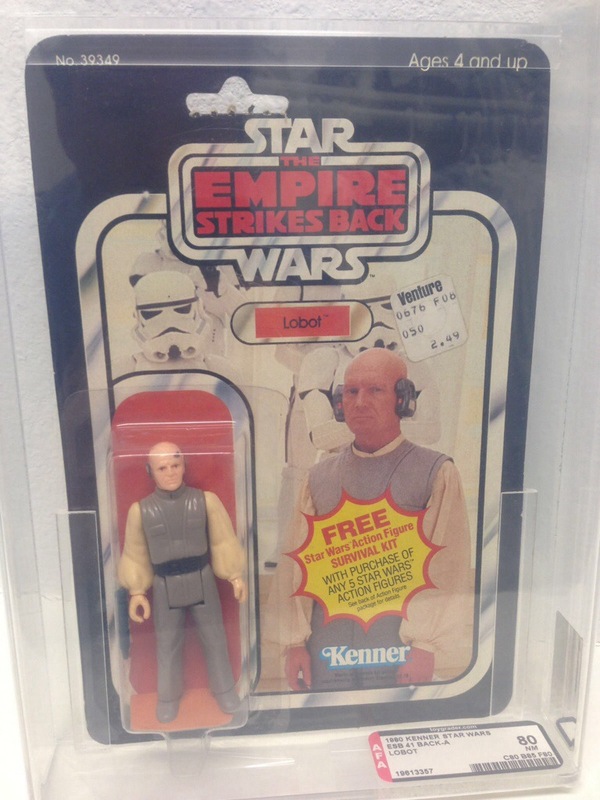 And was able to find a few cards covered in POTF stickers and clearance price tags – you get the feeling Lobot was still on the shelves when the POTF2 line hit toy shops. 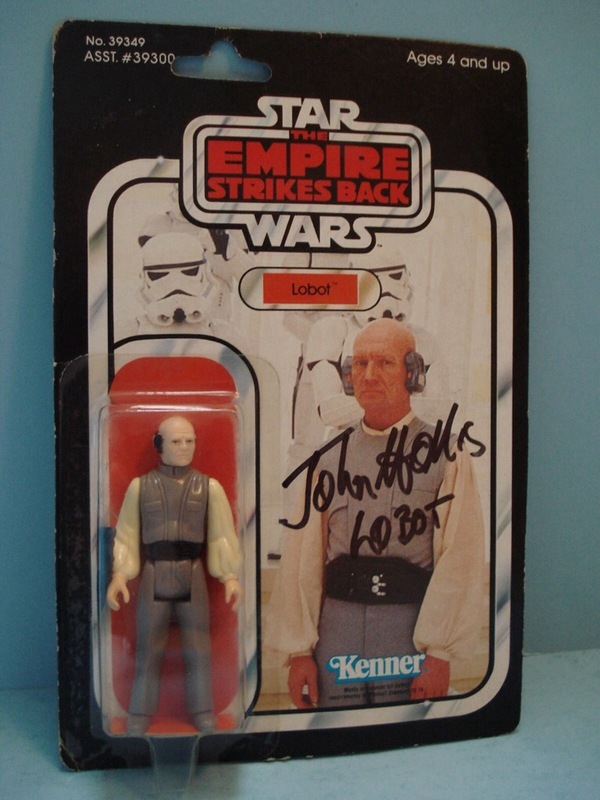 And a first for the MarketWatch – an autographed MOC !!! 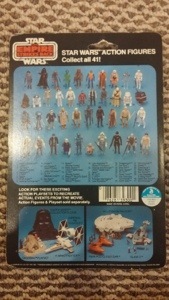 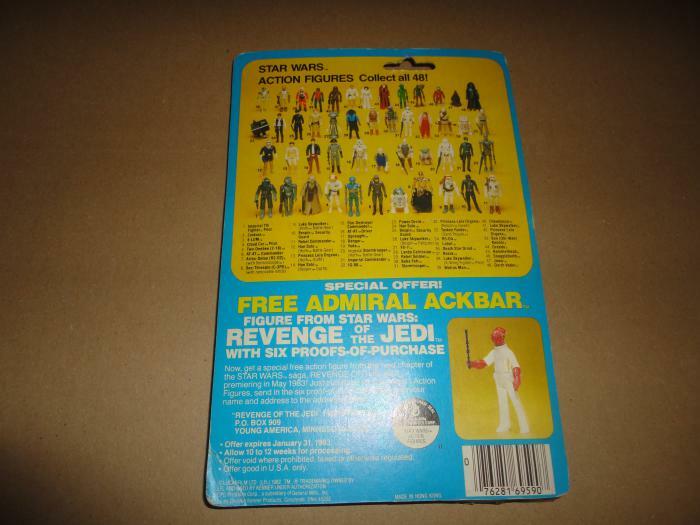 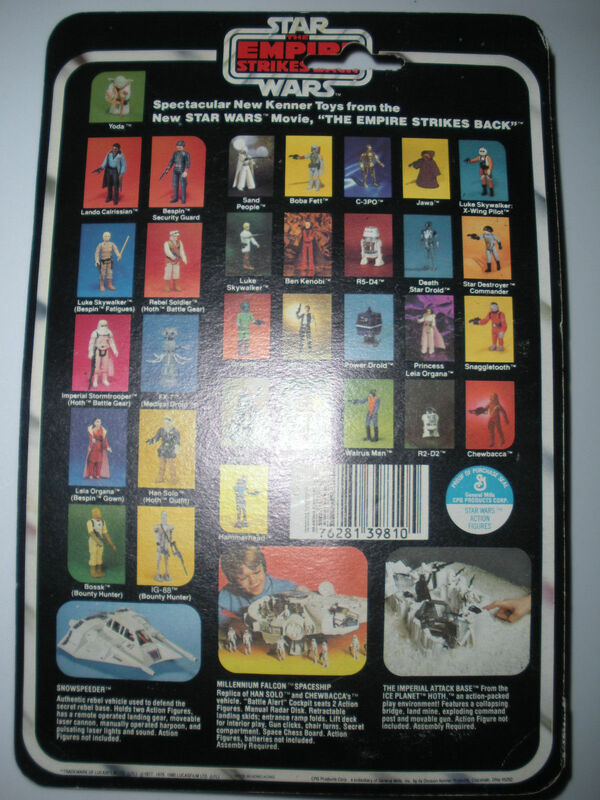 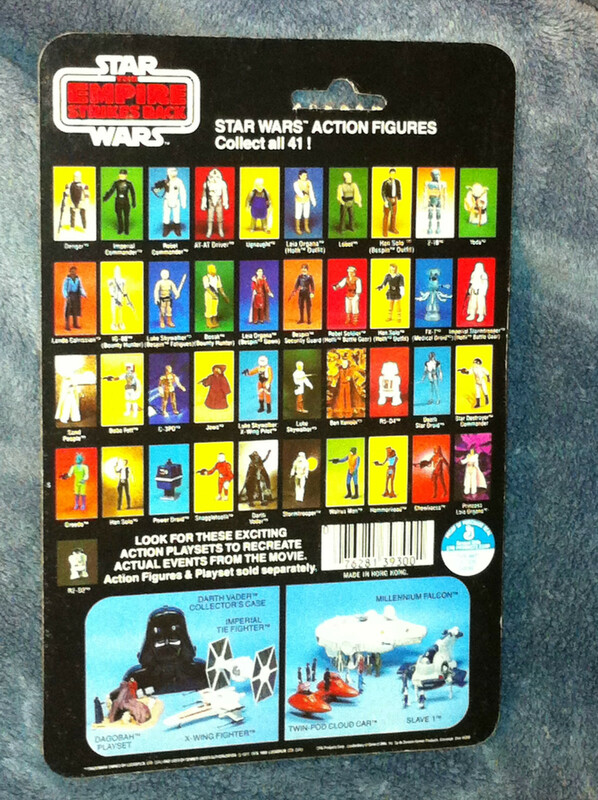 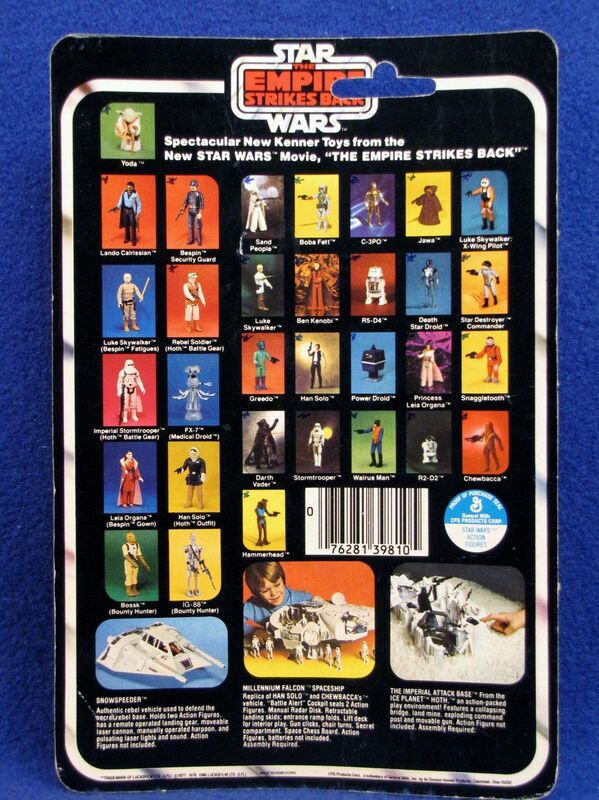 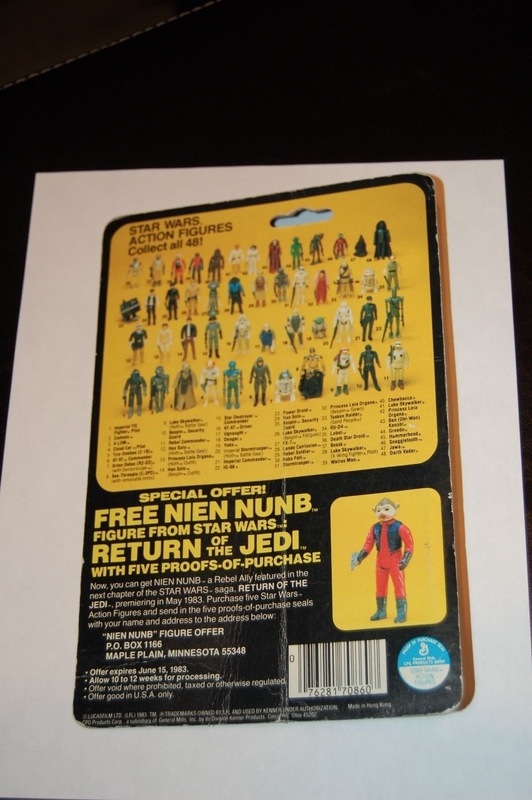 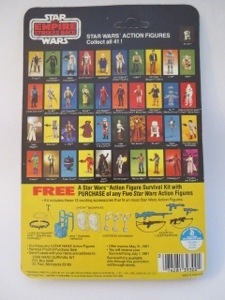 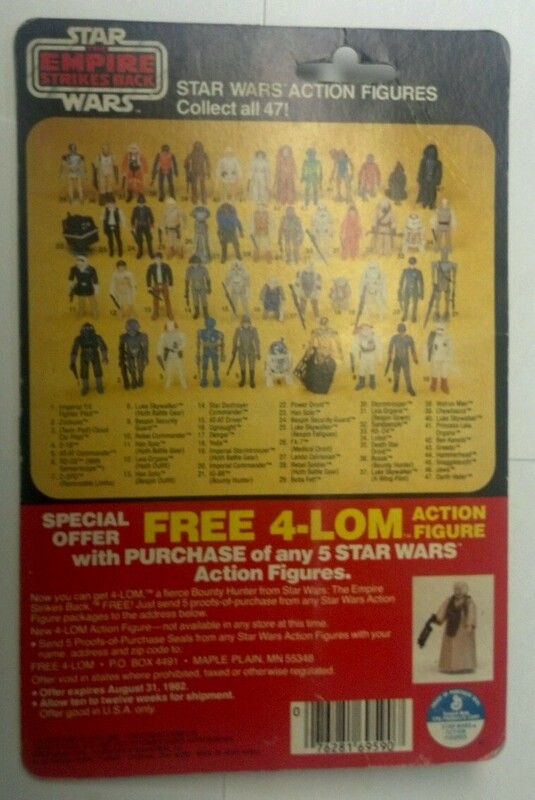 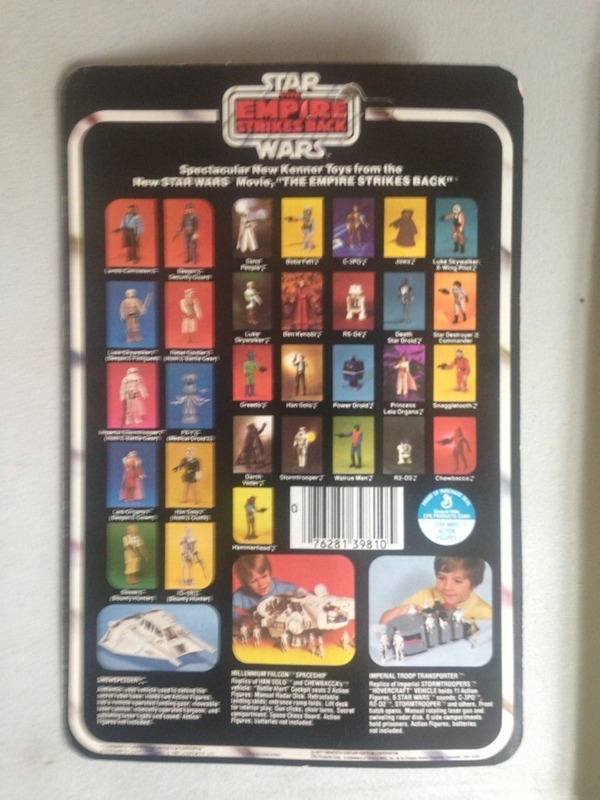 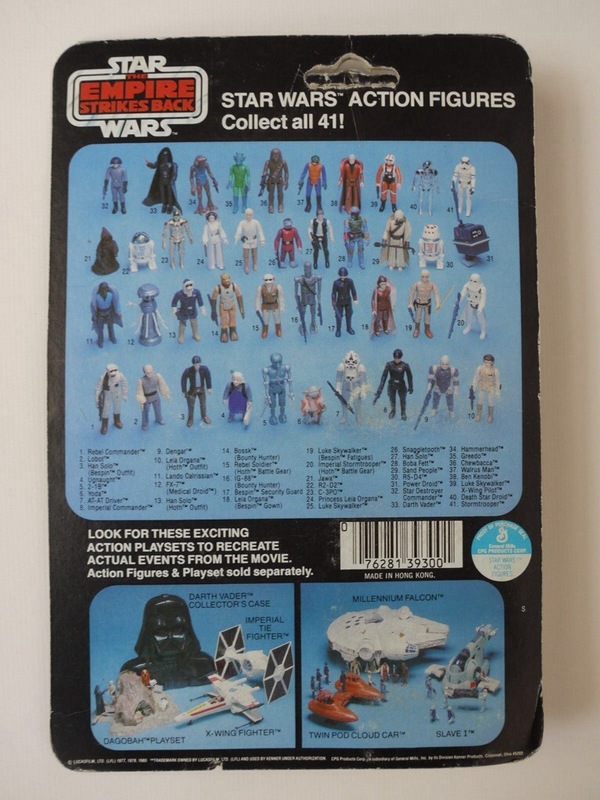 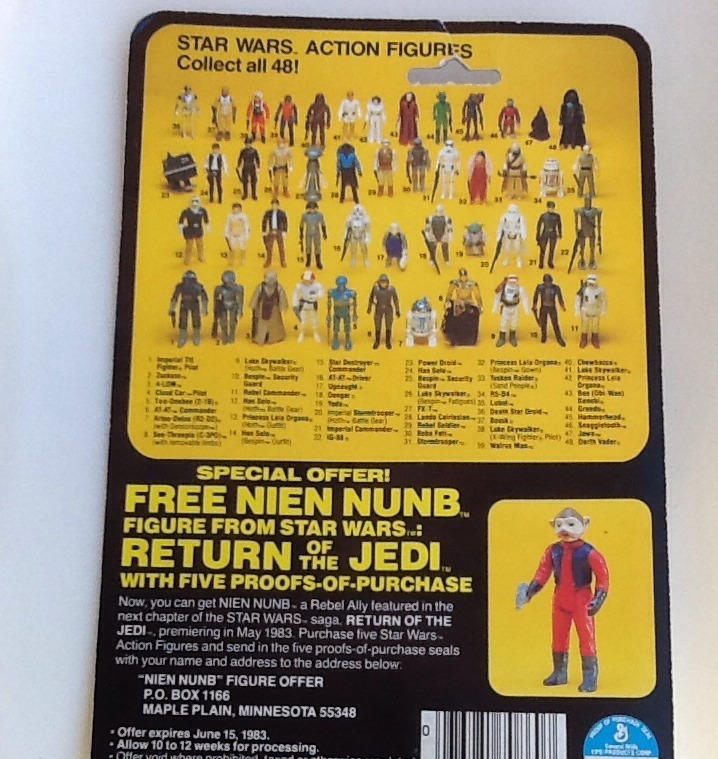 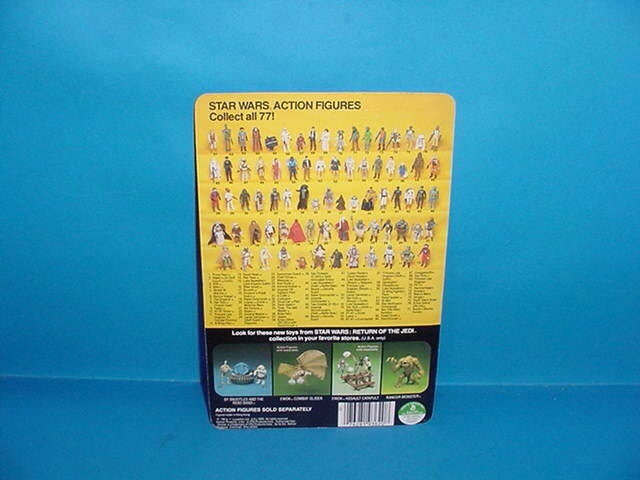 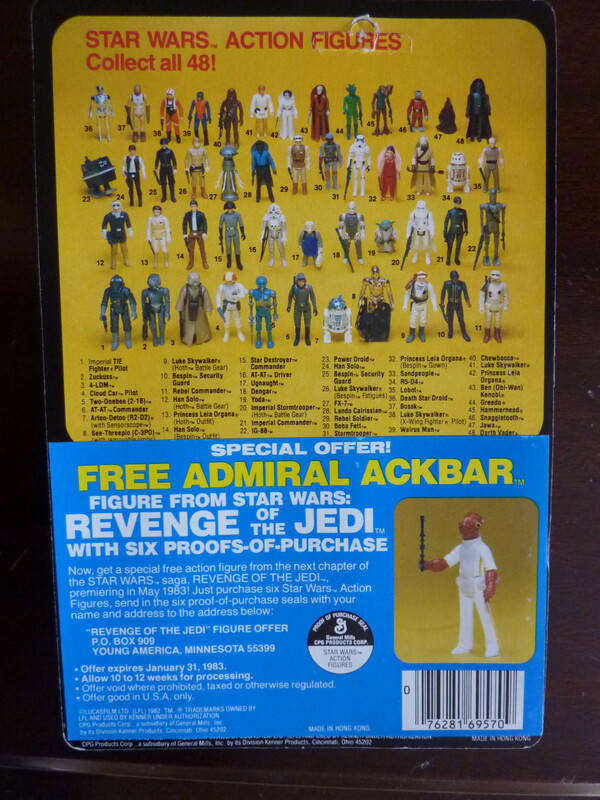 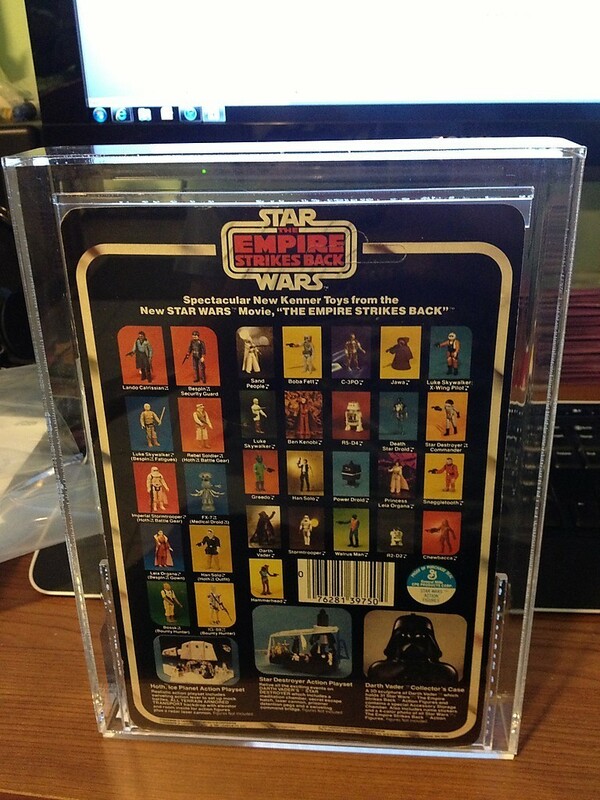 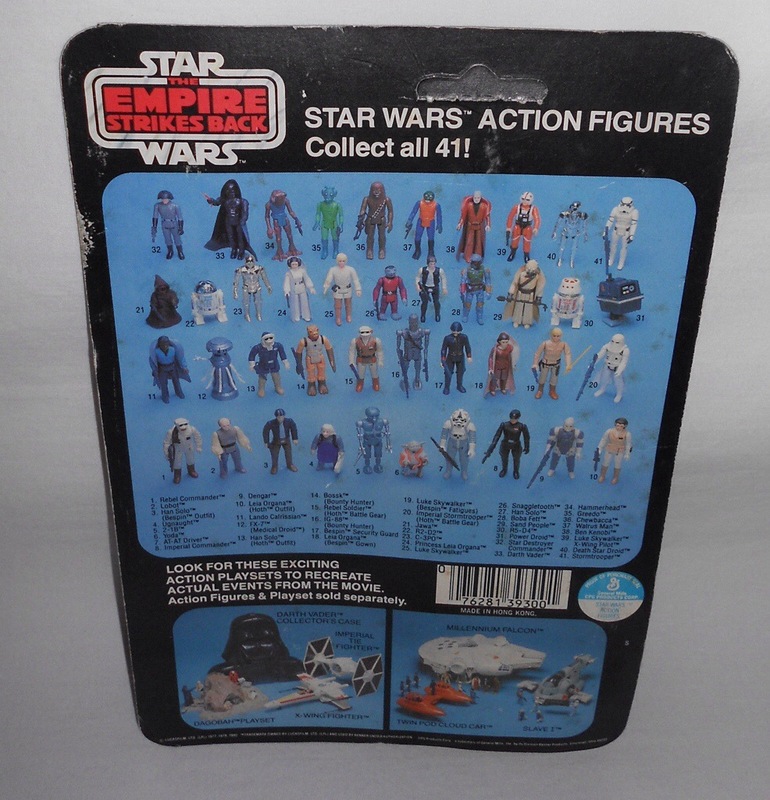 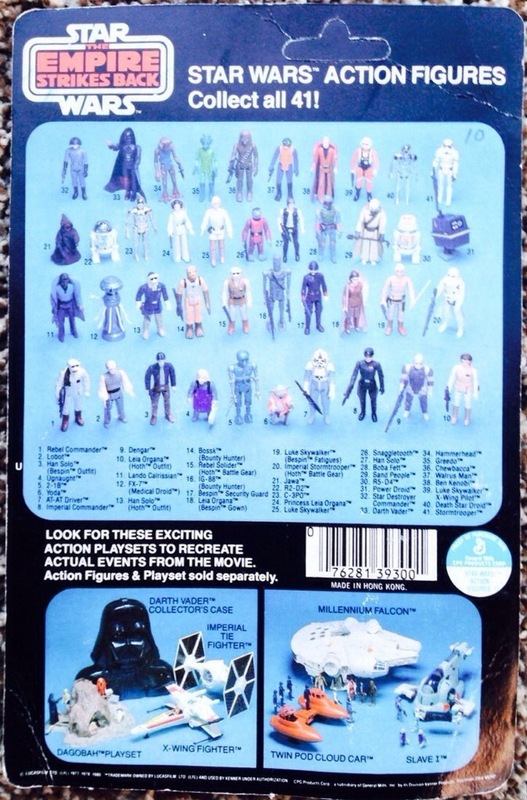 It’s been an interesting move from the 31/32 back figures through to the figures first released on the 41 cardback. 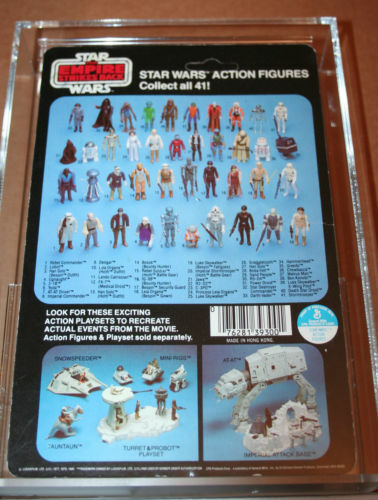 It was fair to say that almost all of the first 11 figures of the ESB line are pretty well coveted, with Hoth Han, Snowtrooper, Luke & Leia in the Bespin fatigues and Yoda all the subject go many foci. 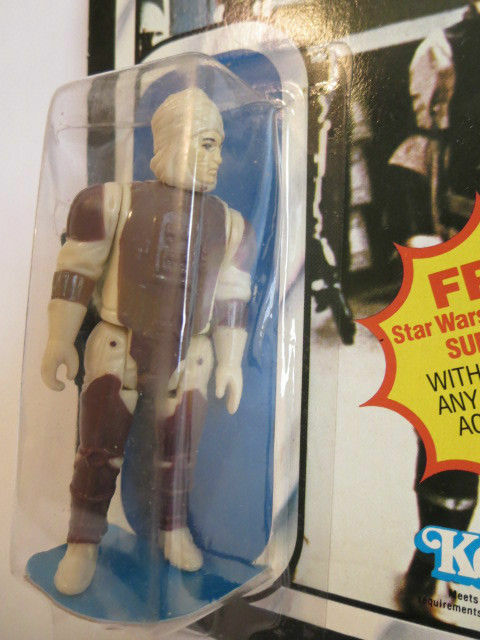 Even FX-7 seems to generate a high level of interest . 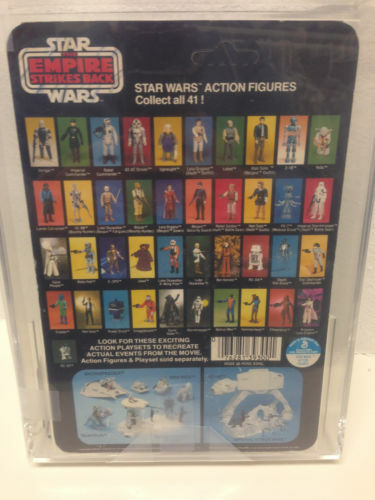 However the figures first released on the 41 back (in the main) are where the collecting gets a little more niche, and competion for items really starts to drop off. 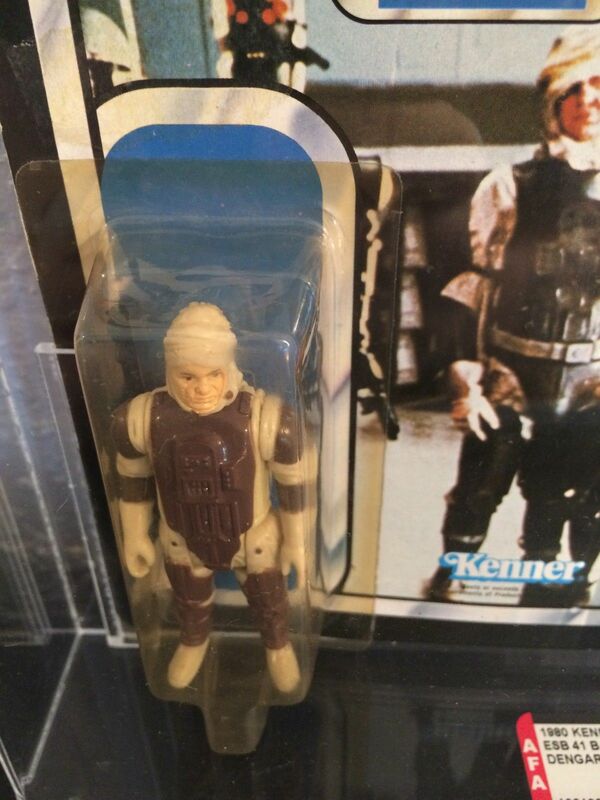 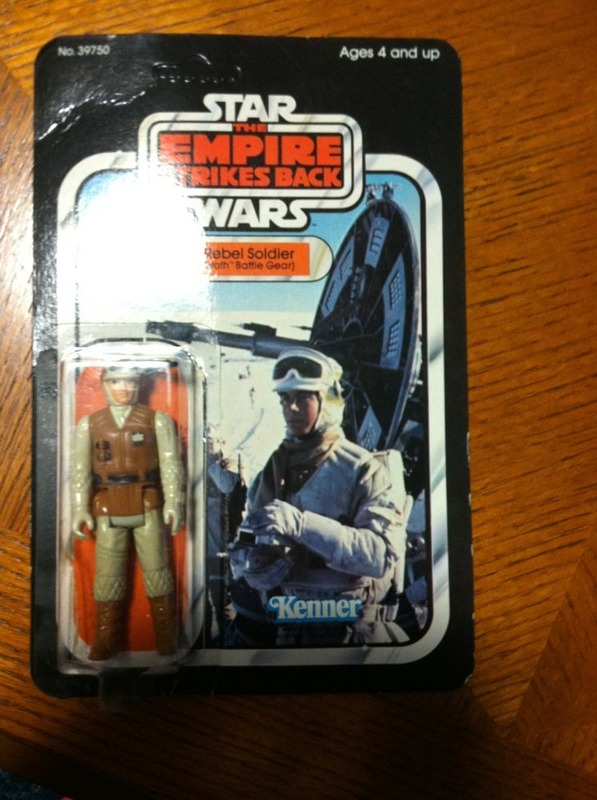 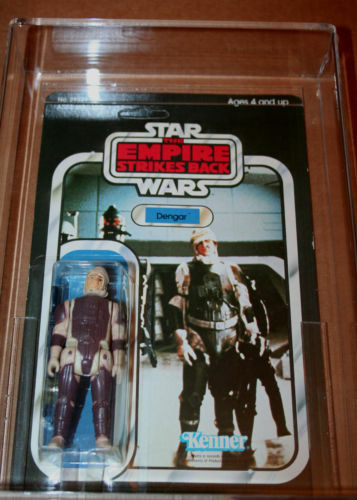 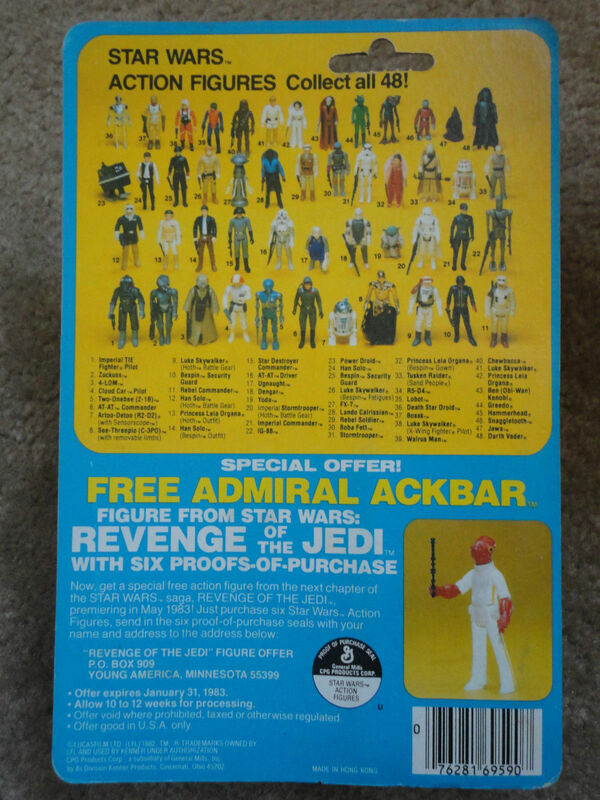 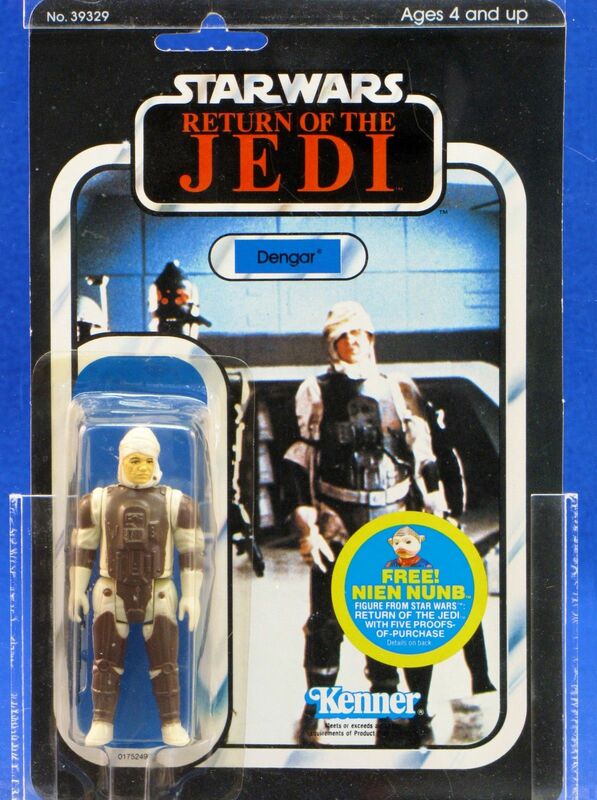 In saying that, though, I’m often surprised at the level of sales for these “background” figures, and there we’re enough Dengar MOCs sold to produce a good report this month. 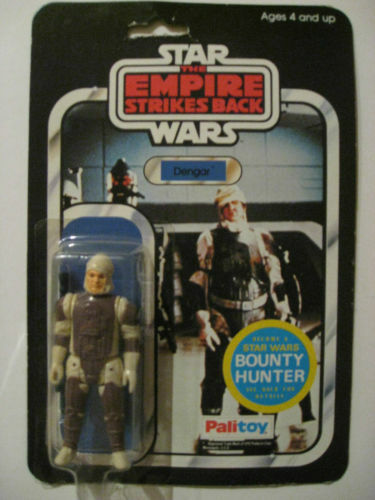 And with Dengar being a bounty hunter, his interest is bound to be a little higher than Ugnaught. 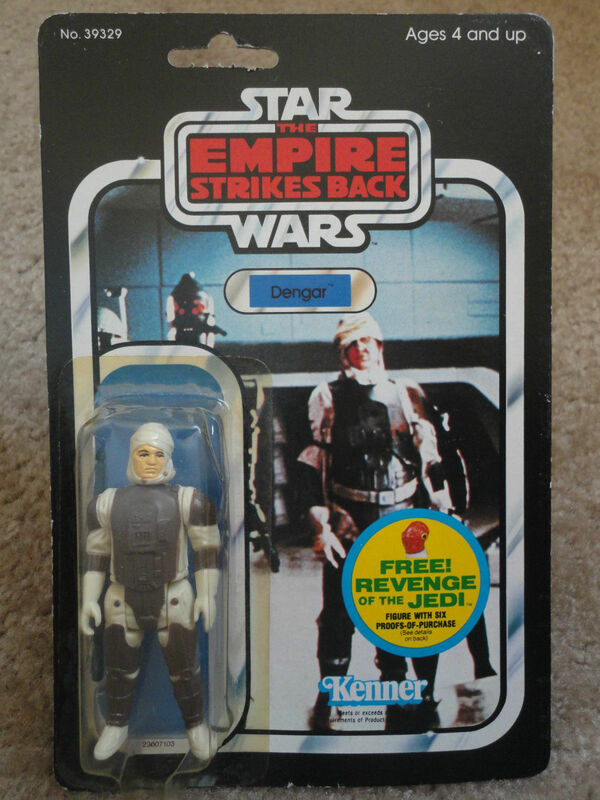 I did manage to almost complete a theoretical run of Dengar with the month’s data. 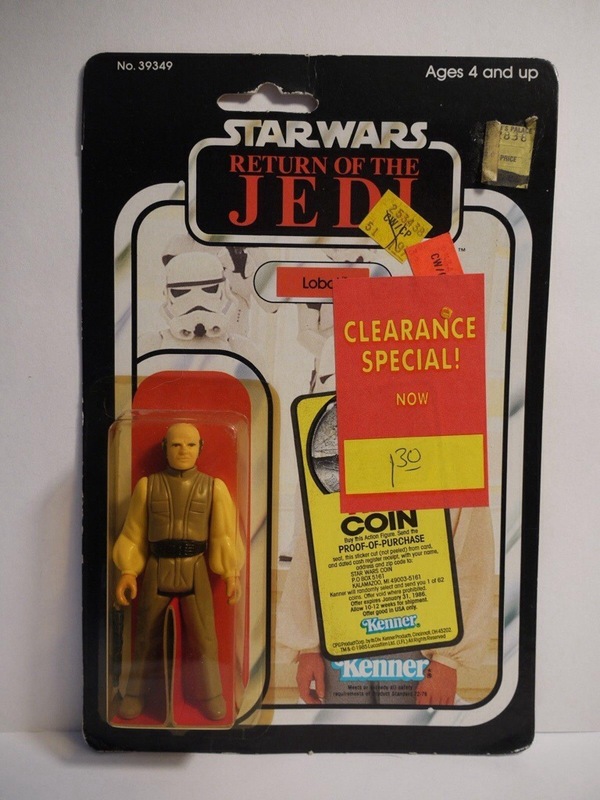 There aren’t a lot of graded examples out there, which I wonder if linked to the fact the bubble crushes pretty easy, and thus any overall grade will be impacted. 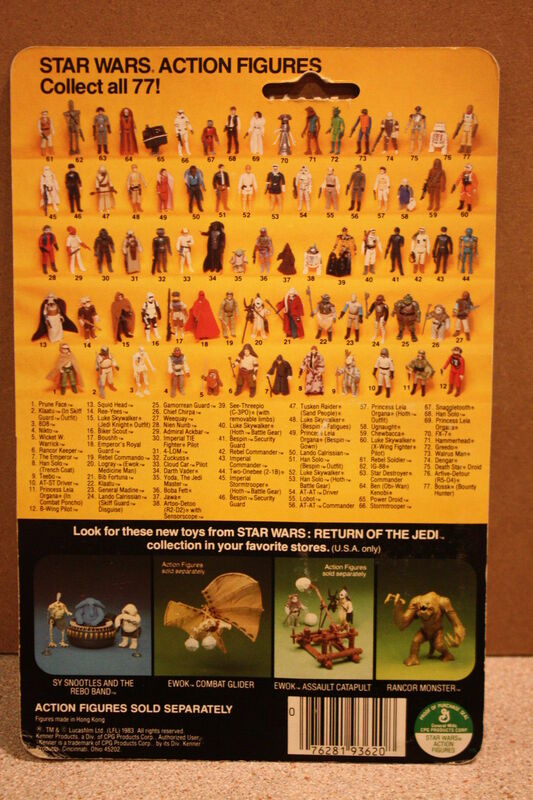 Enough of the background chatter, here is the data for the month (fair to say there was little inflation in these pieces relative to some of the other figures we’ve seen in recent months). 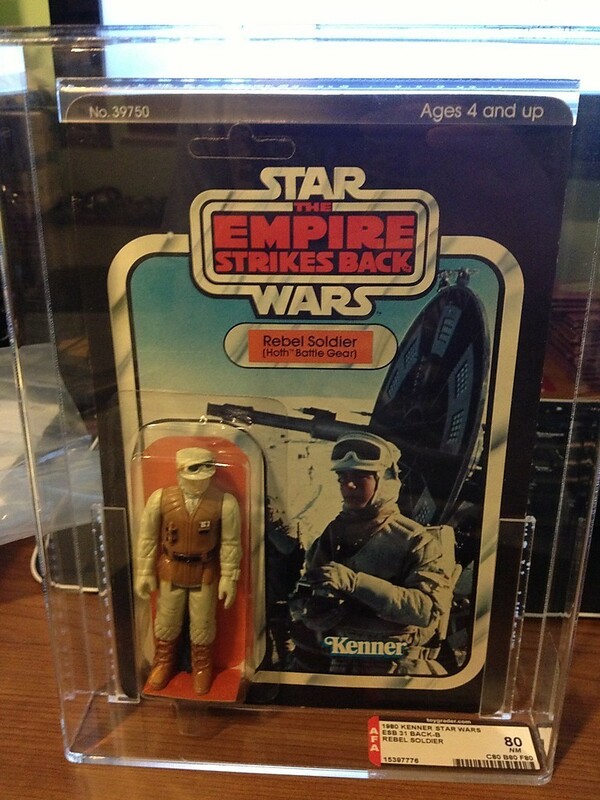 One of only a few graded figures in this month’s data. 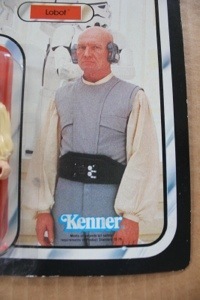 The quality of this card is probably worth the $200+ price tag, he’s not an easy character to find with a clear uncrushed bubble. 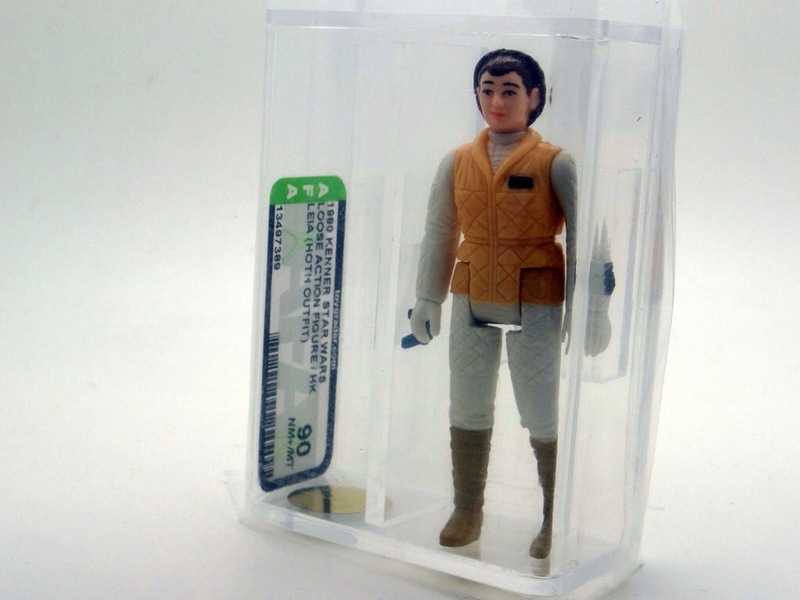 I haven’t gone back and checked, but this feels like one of the cheapest (if not the cheapest) MOC’s I’ve listed on the blog. 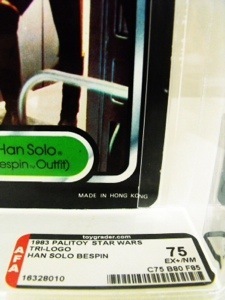 This isn’t far off pricing for a modern MOC (well in Australia at least). 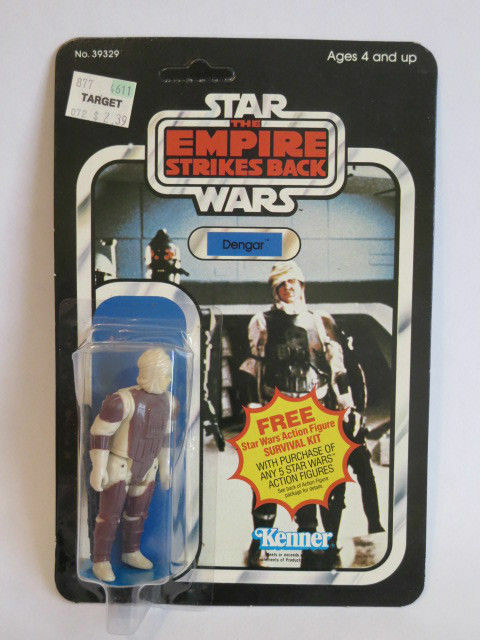 All in all some pretty cheap offerings, if Dengar was in your interest set. 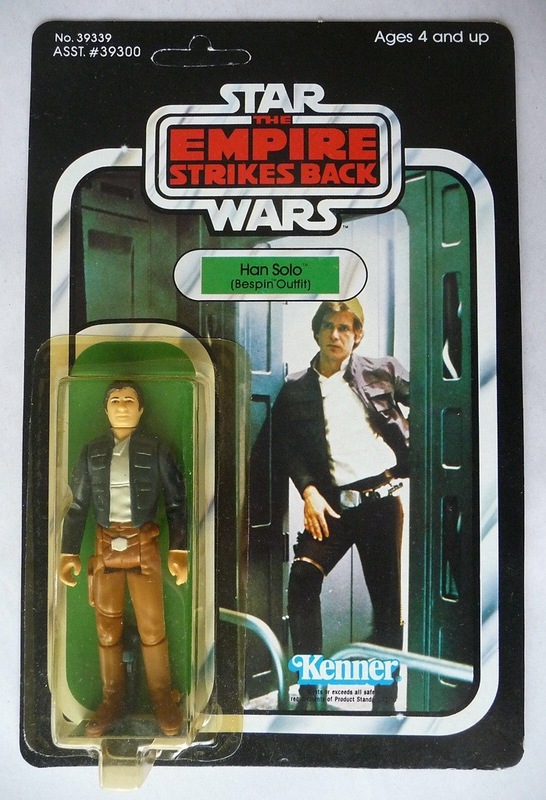 His debut card seems pretty cheap, given a lot people like the debut card when completing runs of MOCs this was a little surprising. 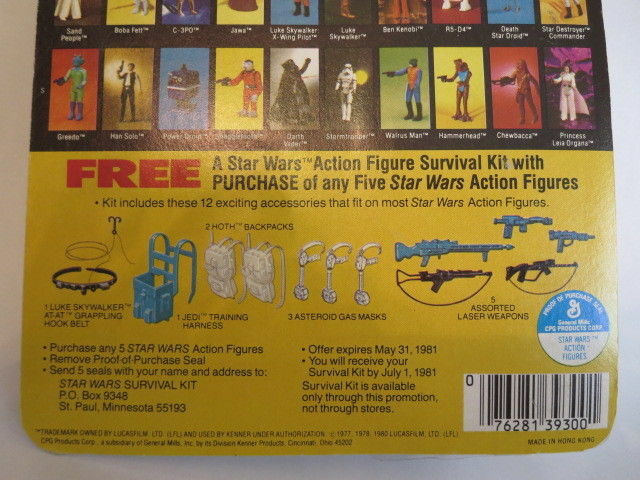 Though offer less cards are also often coveted, and thus the 41A with its Survival kit offer might be a reason for slightly subdued interest. 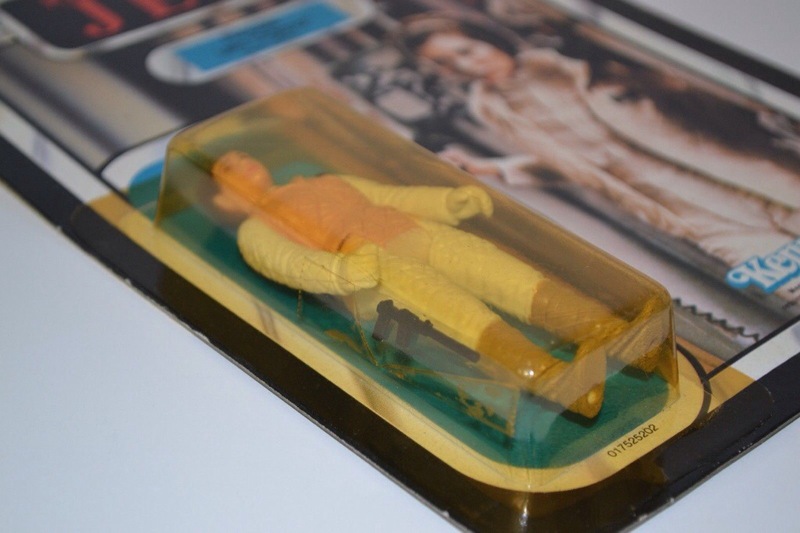 The few graded MOCs seemed reasonably priced, given the bubble quality, though the 41C (AFA75-Y) was probably $50 or so over priced, given the yellowing of the bubble. 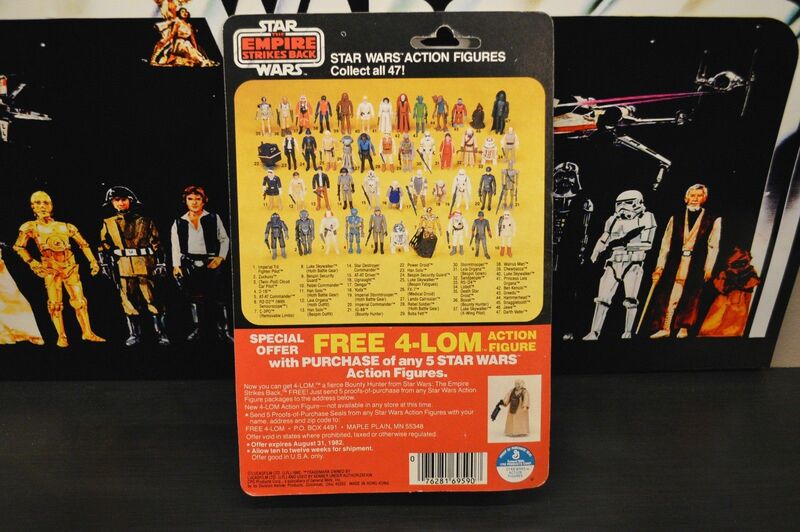 The 41C AFA75, was a pretty good deal at $122.50. 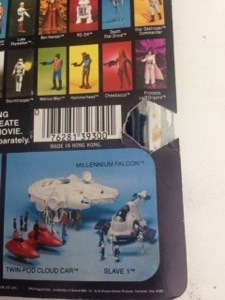 Always like finding these MOCs with the Coin offer sticker and multiple price tags. 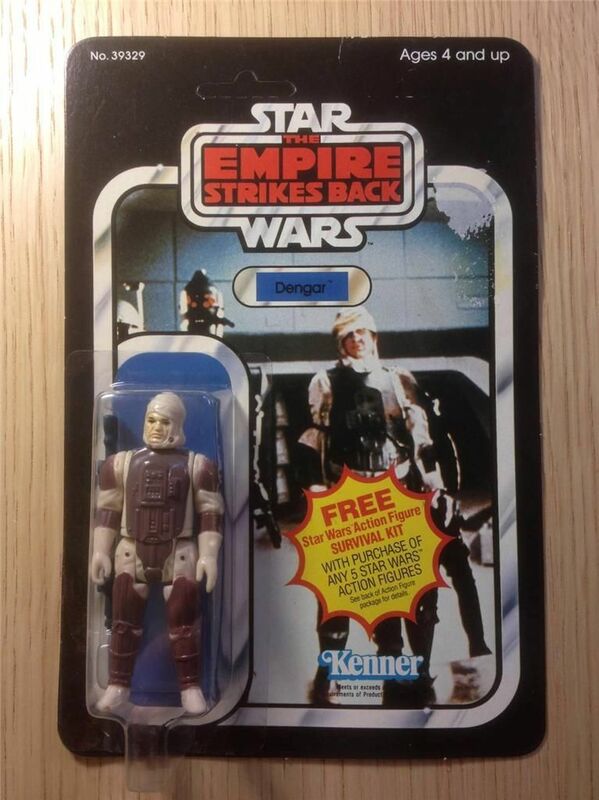 Looks like this guy spent some serious time warming the pegs. 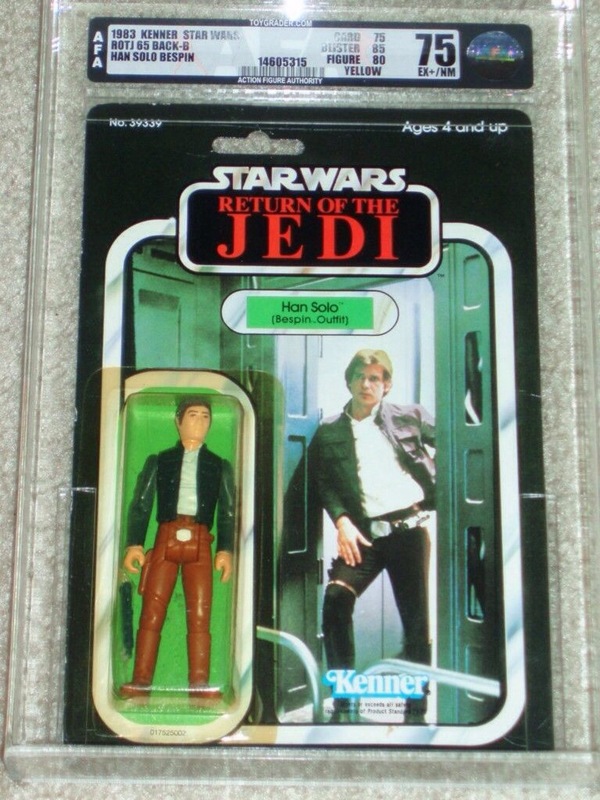 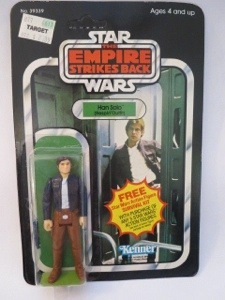 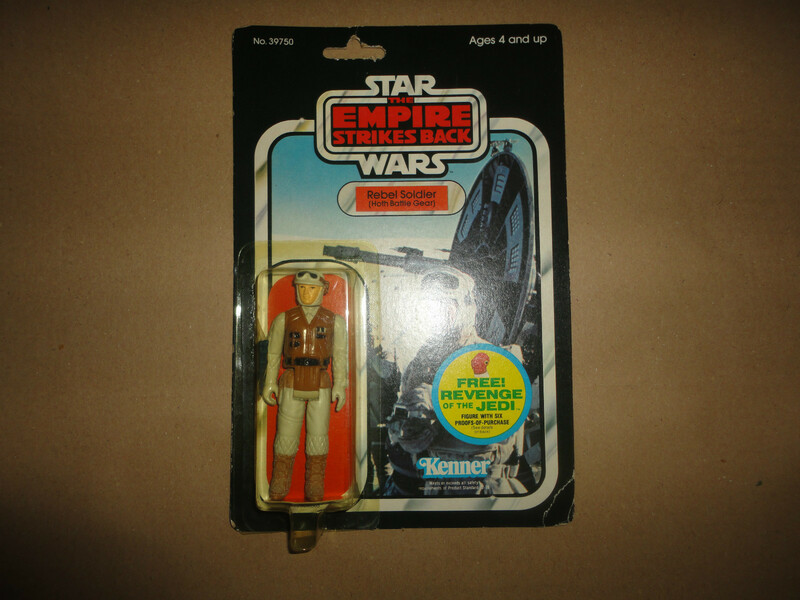 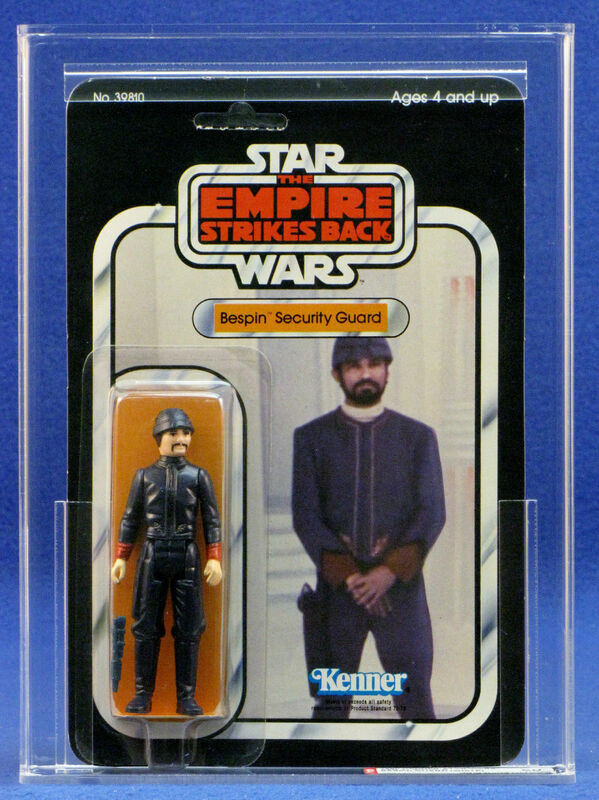 He’s a figure I recall owning – though not with any particular fondness (though I do recall he easily held that Bespin blaster, and that was always a plus as an 8 year old:)). 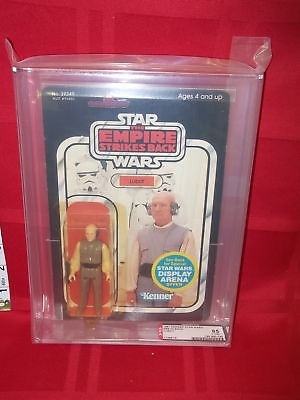 I know there’s been a few good limelights on Rebelscum of him, so there is some love in the community for him. 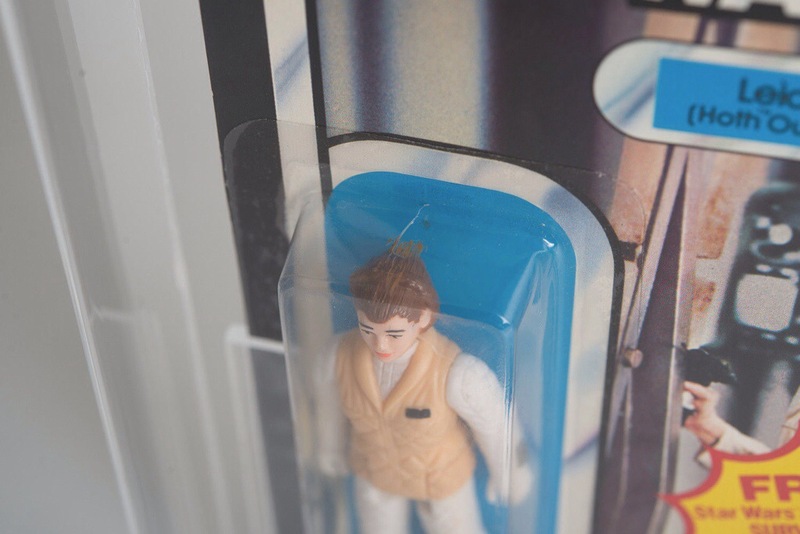 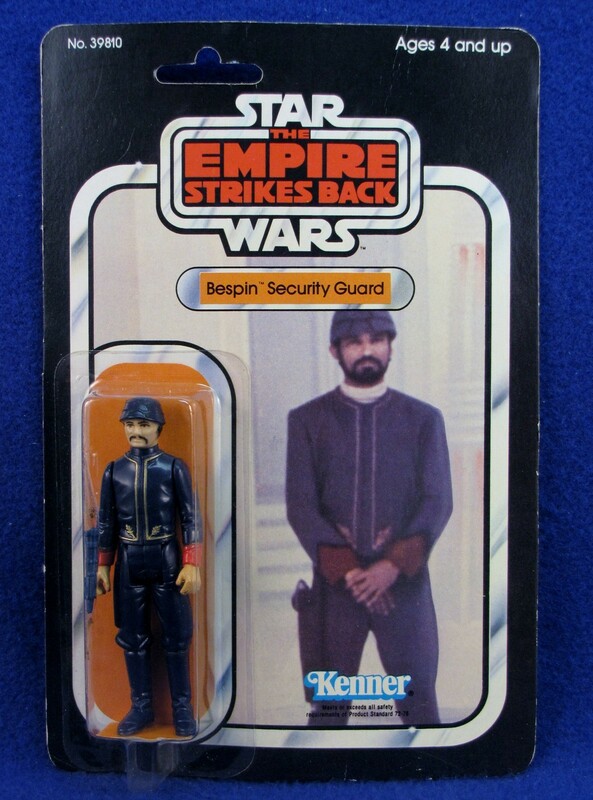 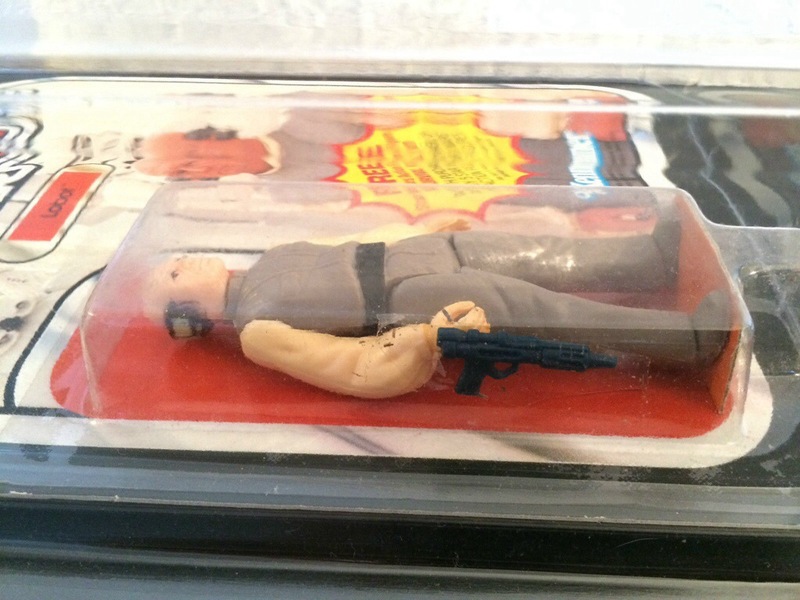 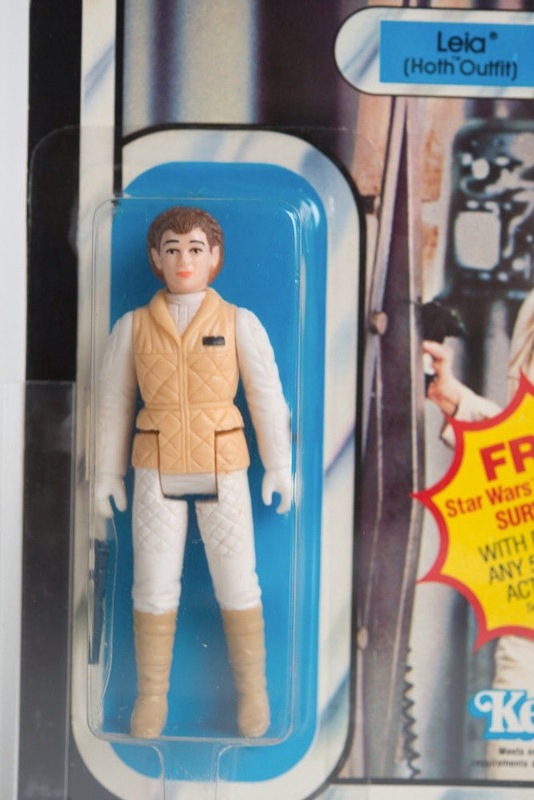 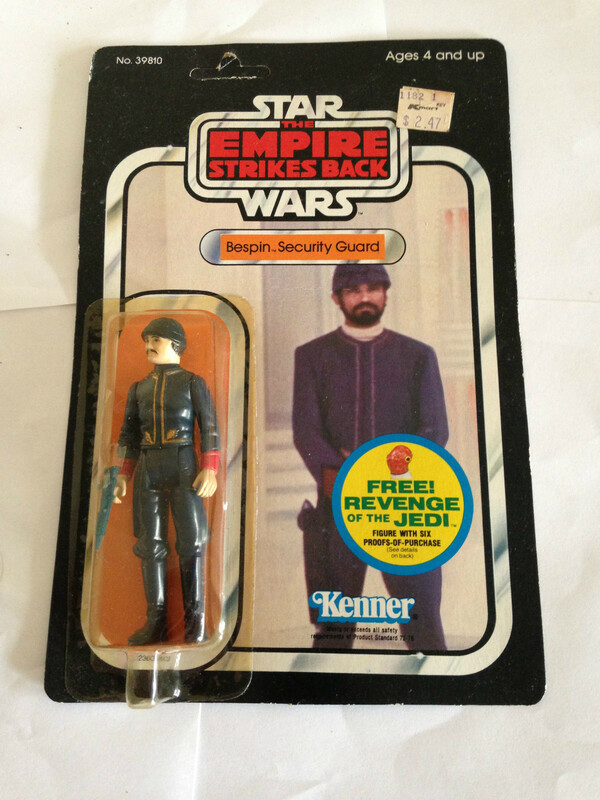 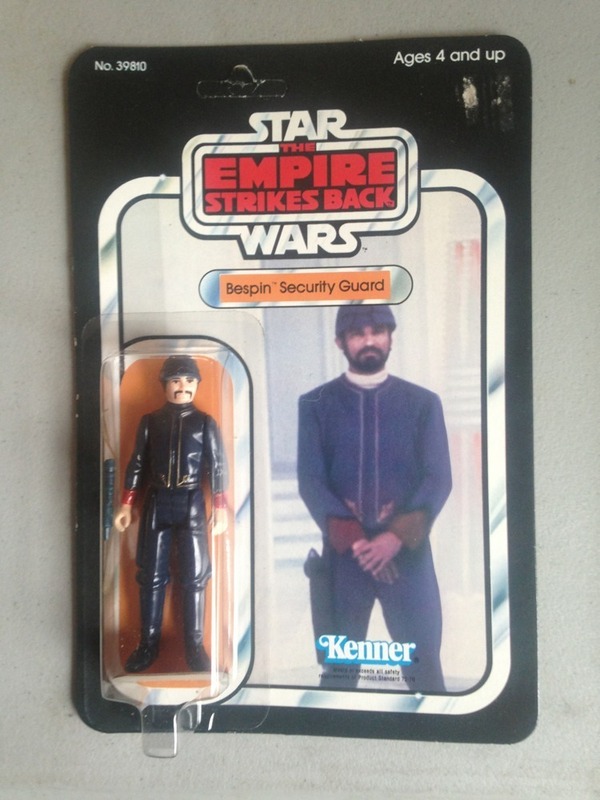 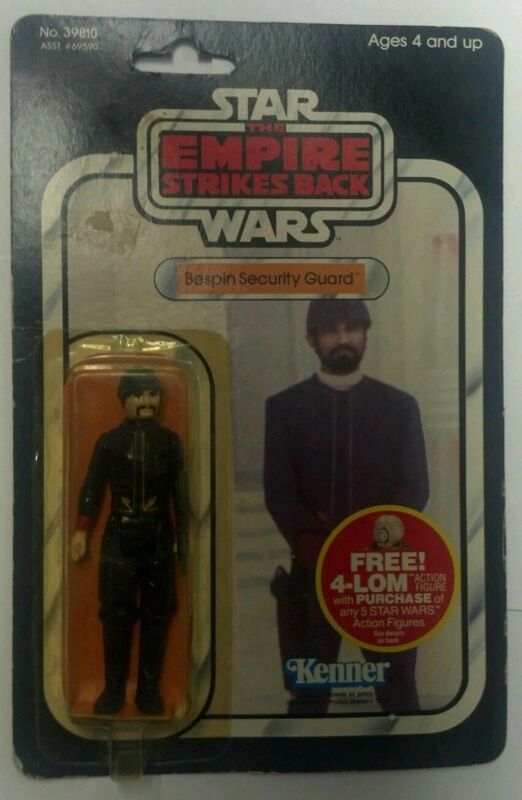 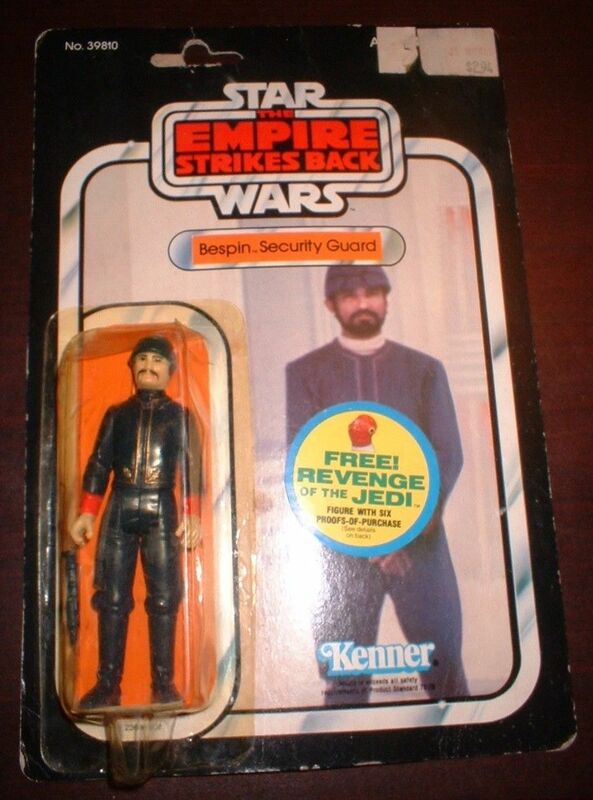 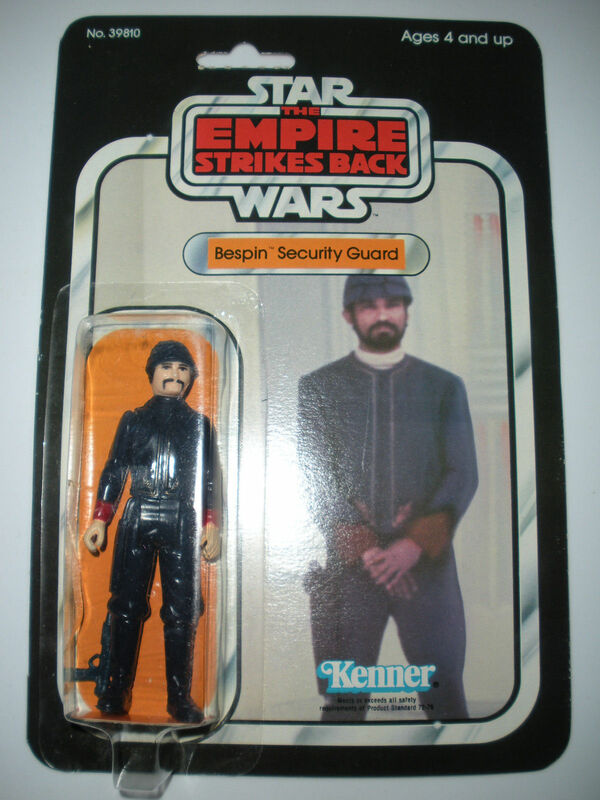 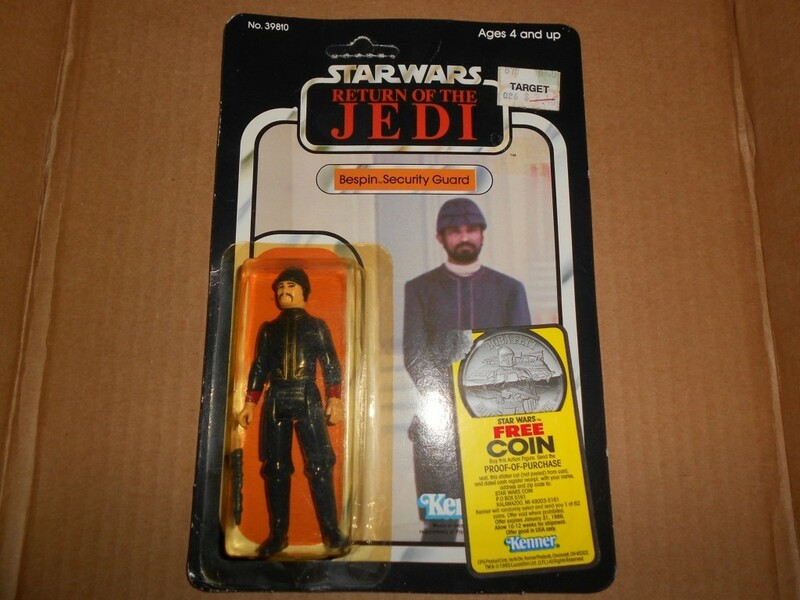 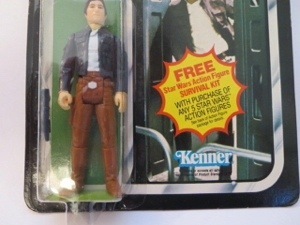 On my first scan through the market I didn’t find too many carded examples of the Bespin Security Guard. 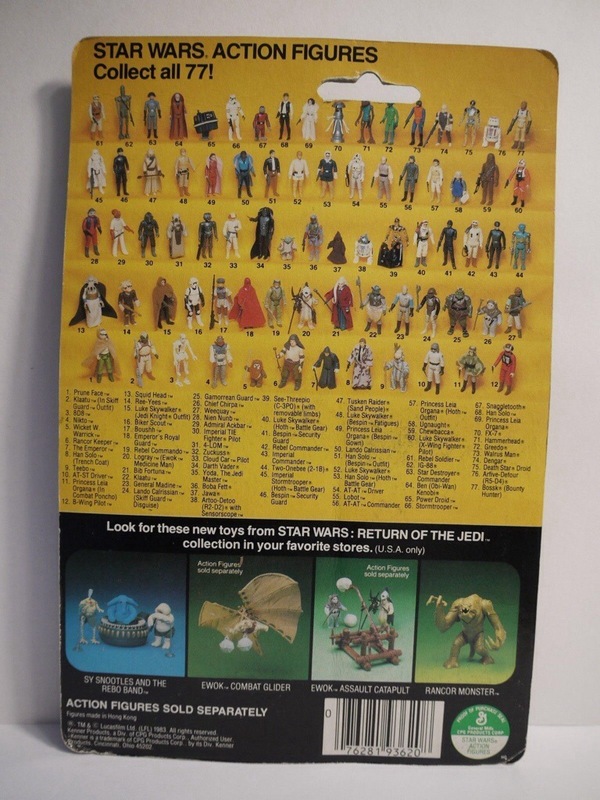 But when you try a few different search terms I managed to unearthed quite a few. 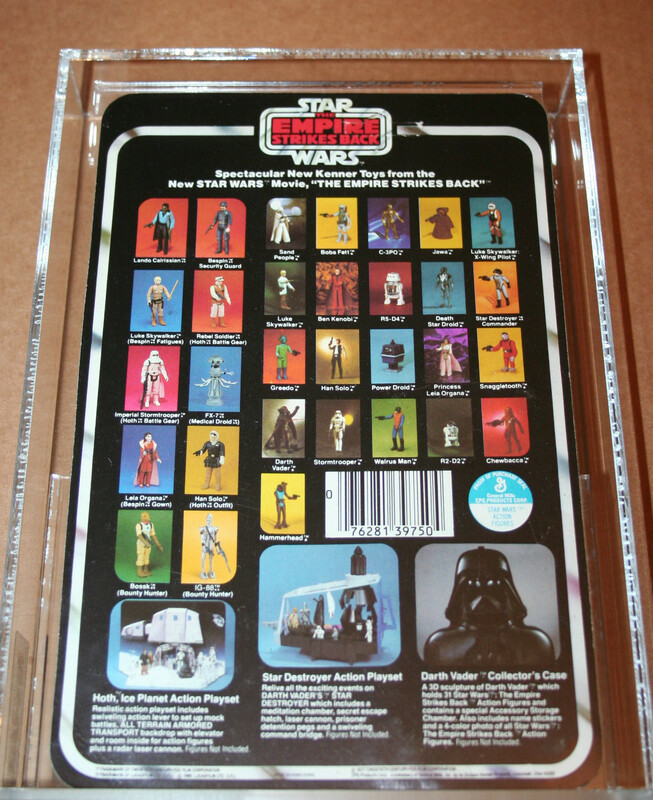 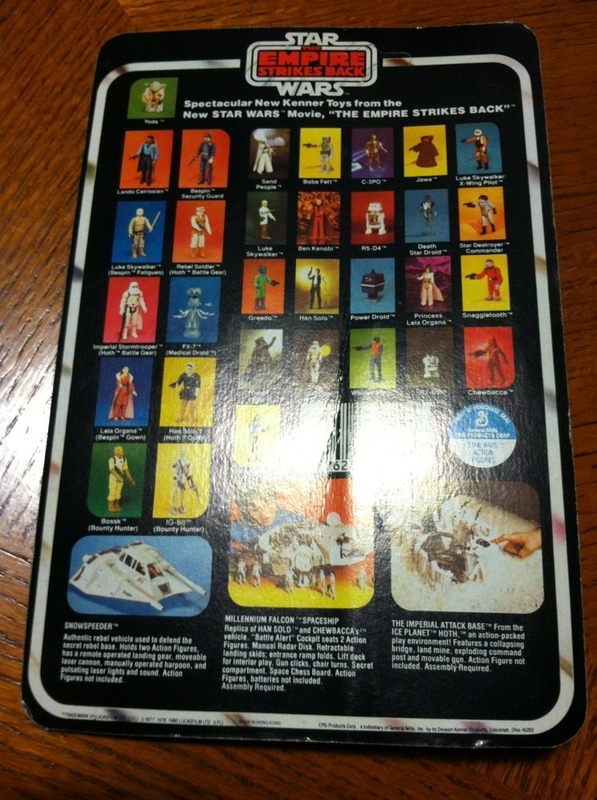 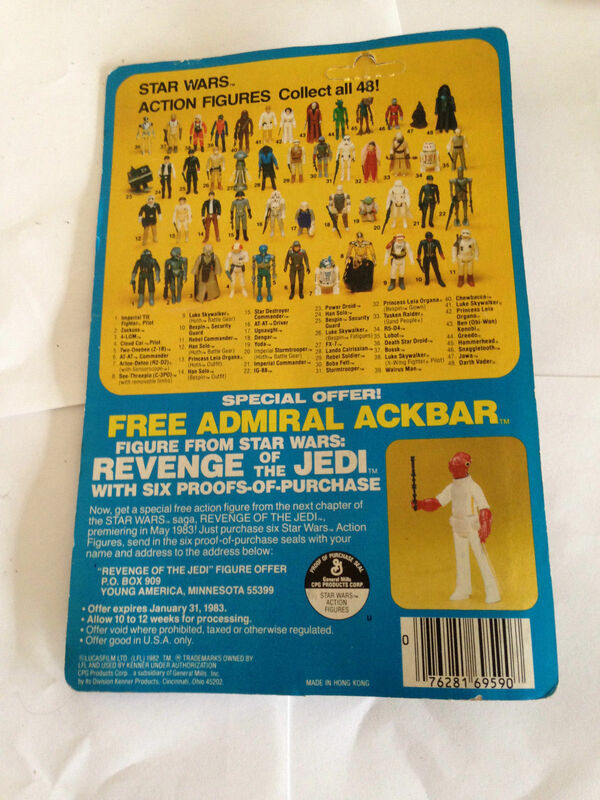 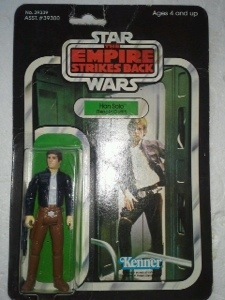 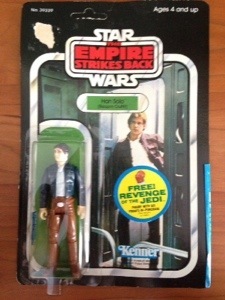 I found most of his carded variations, including all the 48 backs (ESB and ROTJ). 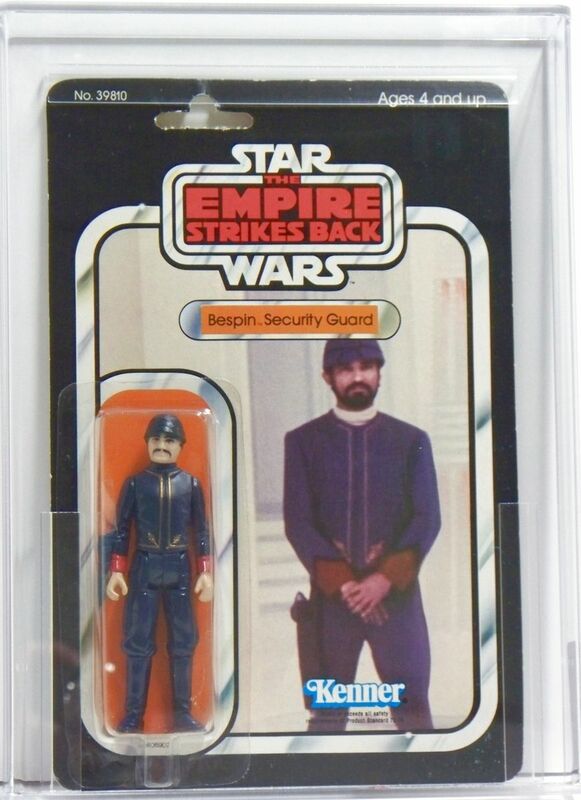 So we came close to putting a full run together – and for a fairly cheap price – if the Asian Security Guard is your kind of figure. 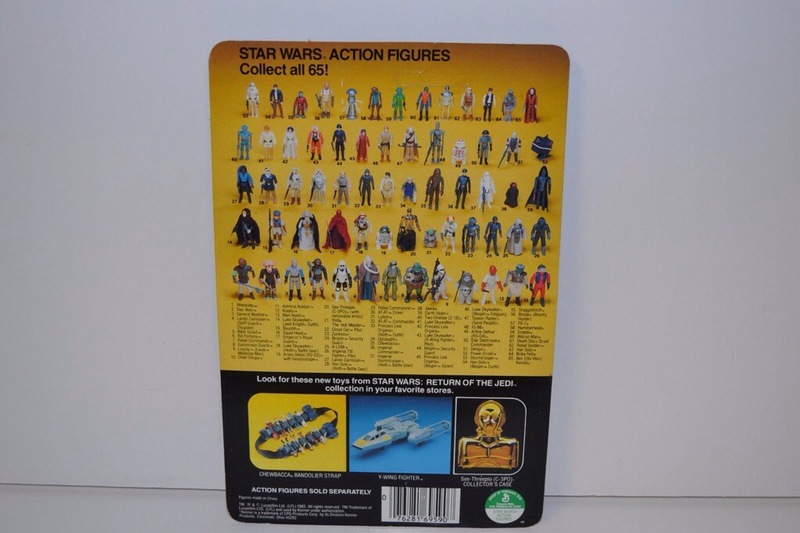 Graded MOC’s were very rare, and the ungraded MOC’s were not in great condition at all. 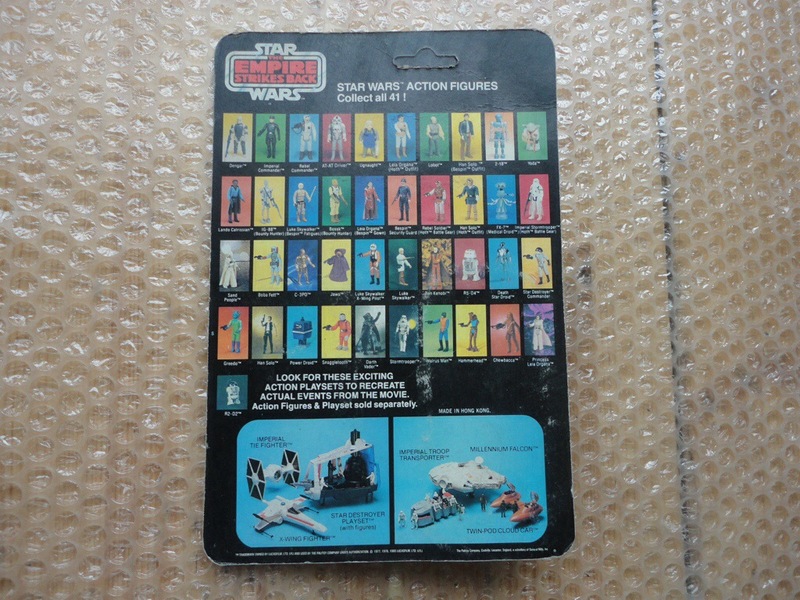 I also have included a few loose graded figures – which highlight the price movements across different grades. 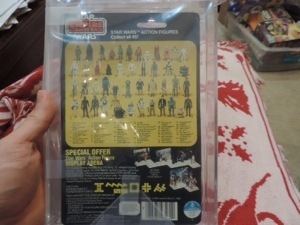 Based on the low prices I’d dare say he hasn’t benefited from the price rises we have seen across the market this year. 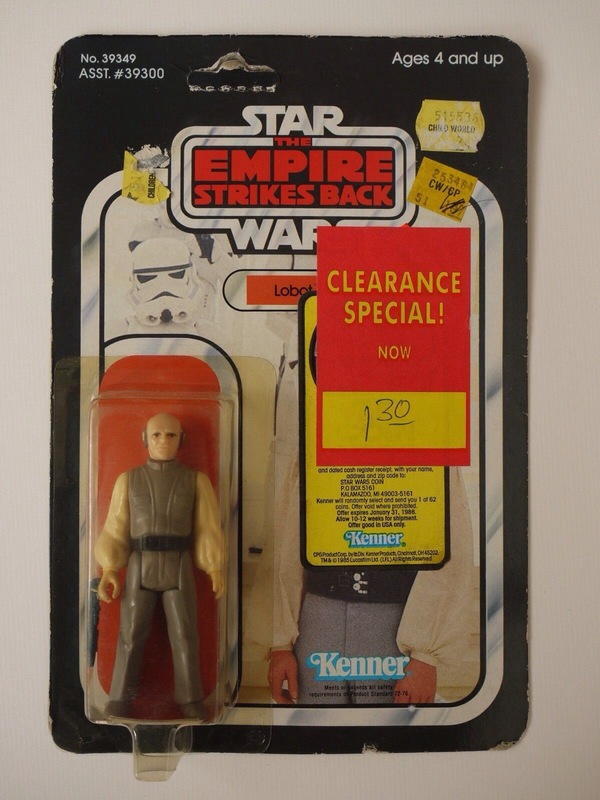 Further sale that reinforces that this guy can be bought fairly cheap…. 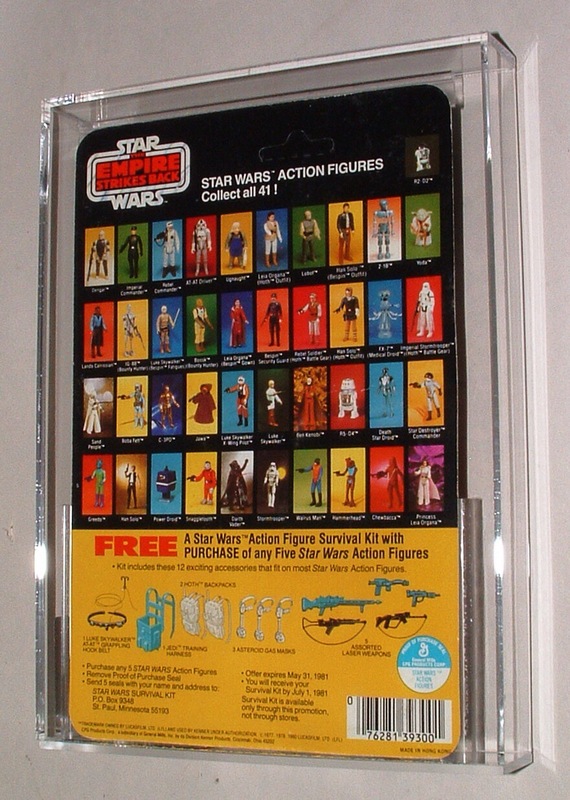 I haven’t focused on the loose graded figures for a few months, but thought it was time to re-focus on these. 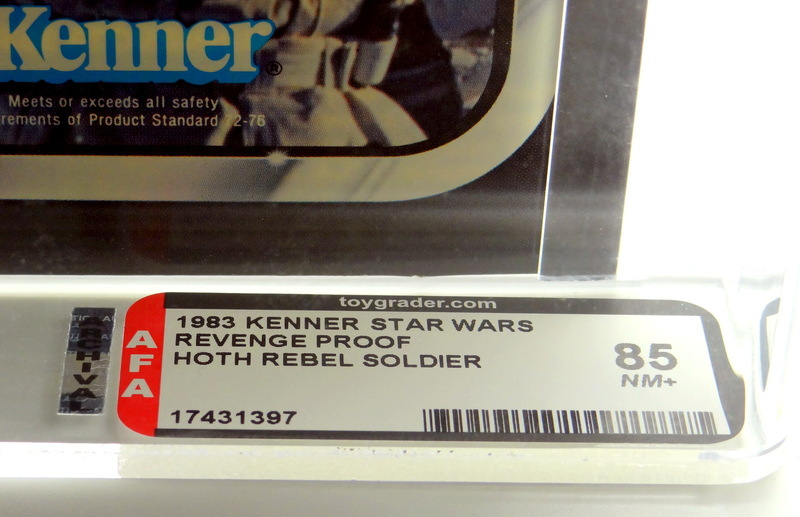 I think the graded loose figures look very nice – and I specifically steered away from any “U” grades. 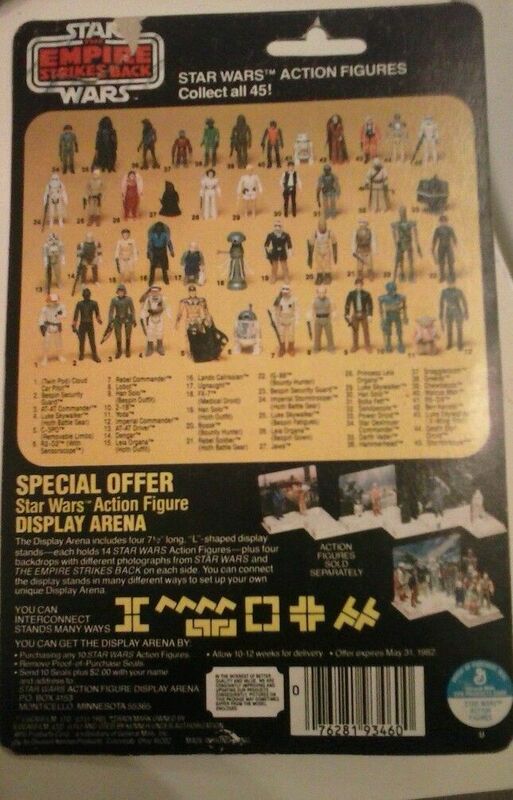 This series of auctions help show the premium (or discount if you look at ti the other way) for the same figure at different grades. 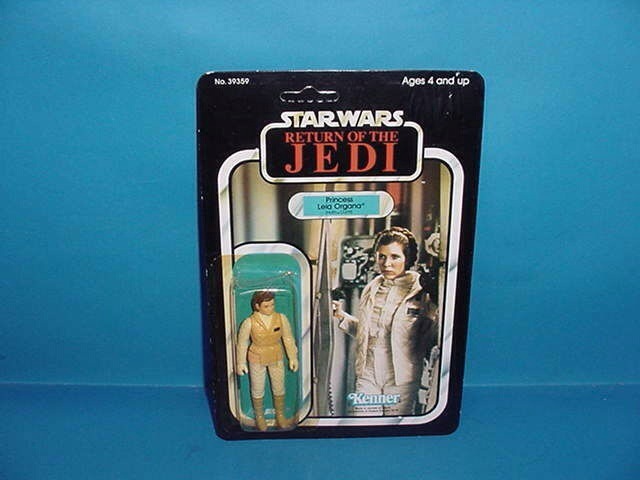 The gold pipping on the jacket is obviously one of (if not the) key driver of the score. 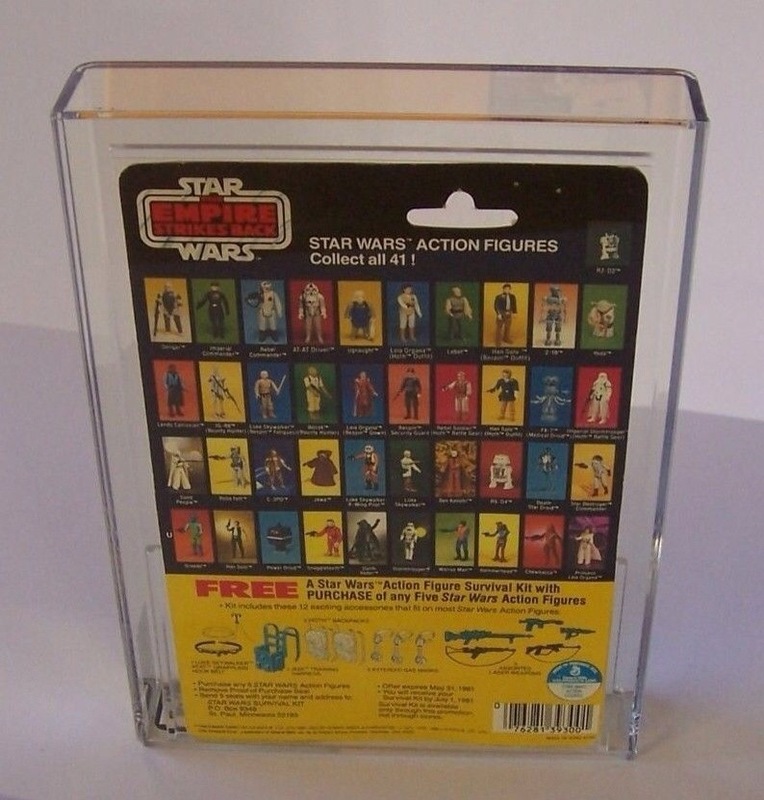 You wonder if CGA / AFA keep images of the figures and scores they give out, which they then can compare when grading new figures. 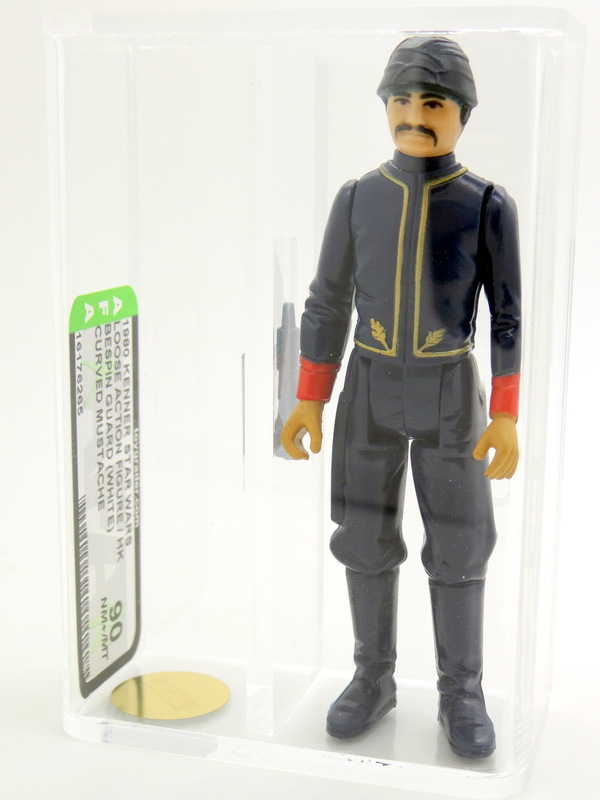 I must admit the AFA90 figure looks very nice (it also helps that the seller took a great picture). 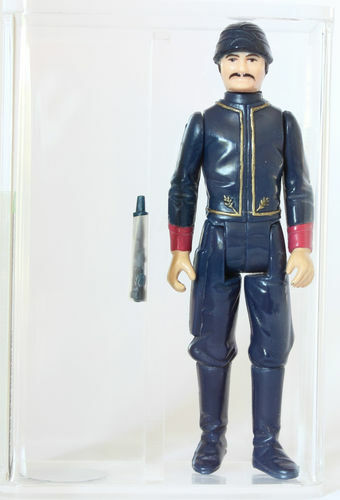 Before I start the summary for the month I just thought I’d take a minute to say thanks to all the regular readers of our blog. 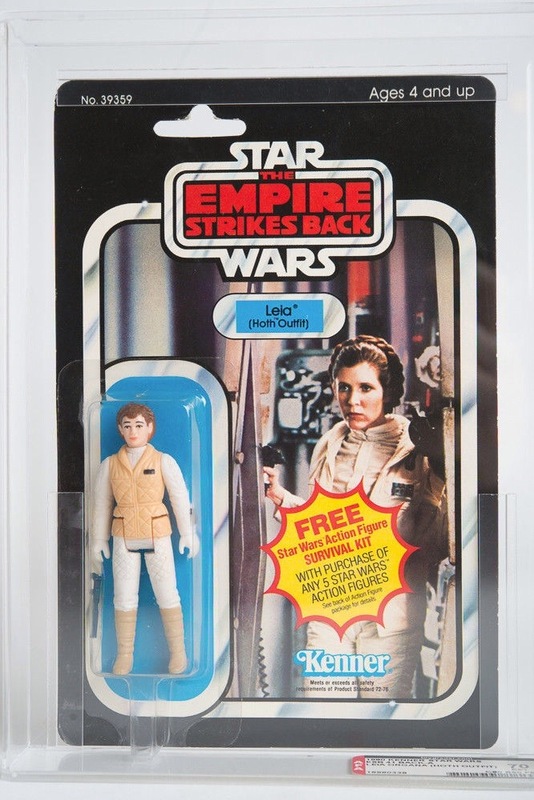 This week we passed 10,000 views. 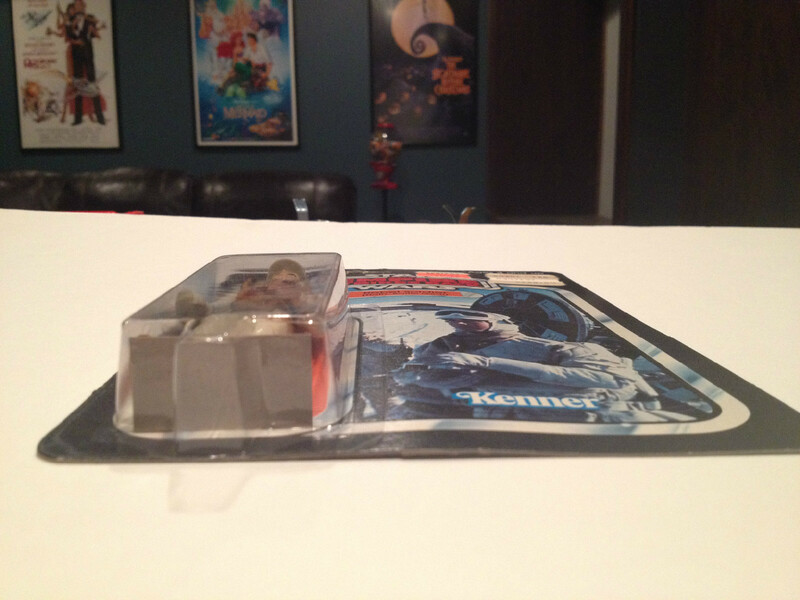 We seem to have hit a steady readership with somewhere between 300-400 readers per month. 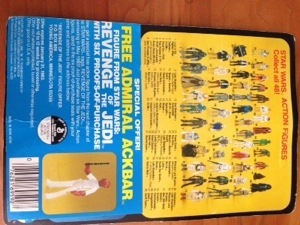 The readership is quite varied across the globe. 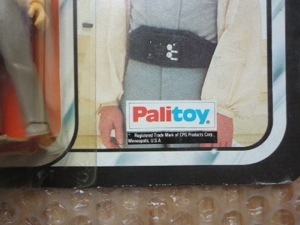 So thanks again for the support. 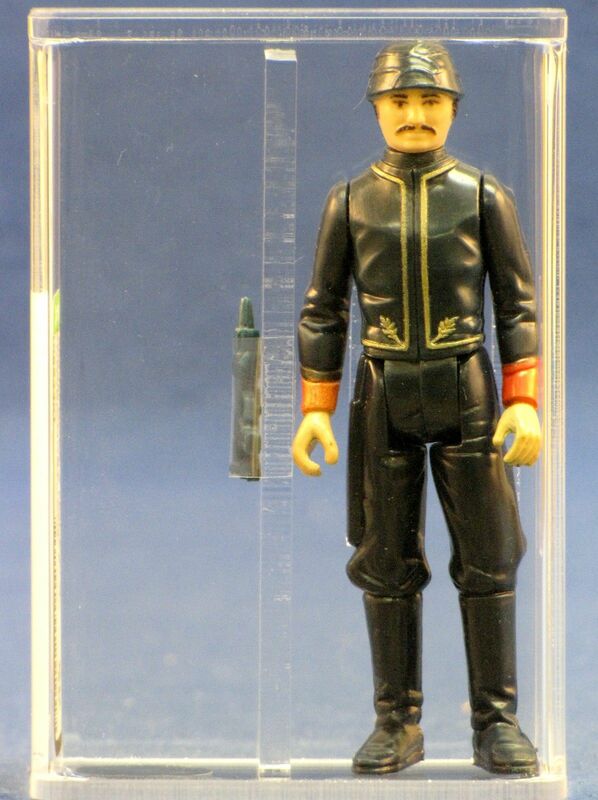 Now to this month’s figure. 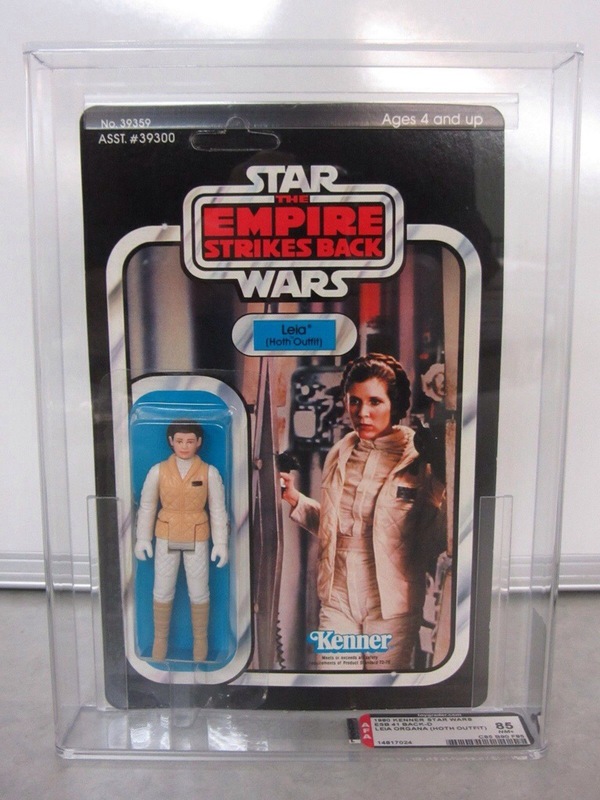 I’ll be interested to hear Skye and Steve talk about this figure. 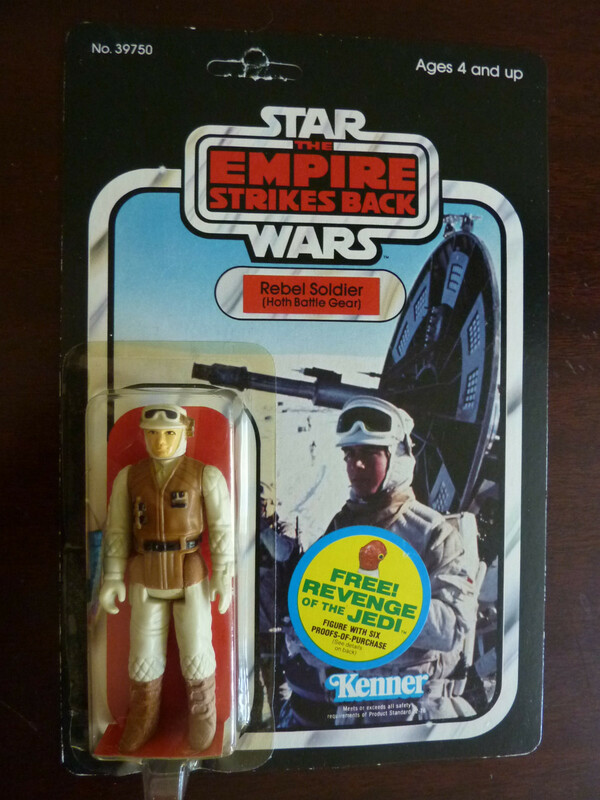 I actually quite like him and given he’s a Hoth figure a natural favorite for me. 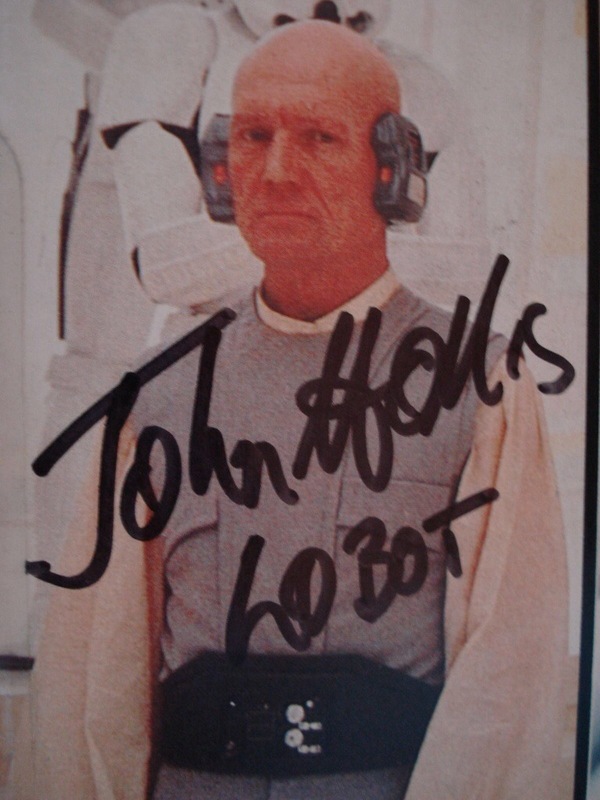 But while he was a favorite of mine he is also somewhat representative of Imperial fodder. 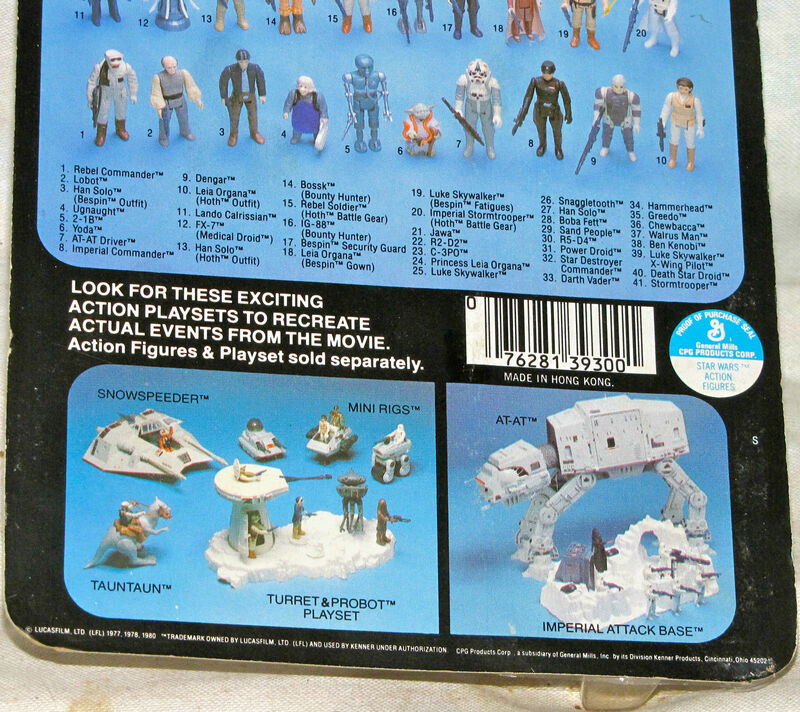 So while his “battle” ability was not something to get too excited (punching commands into his transponder and shooting that laser cannon, or running back to the Hoth base to escape, among those skills) it was the defeat at Hoth that really helped set the movie / trilogy up. 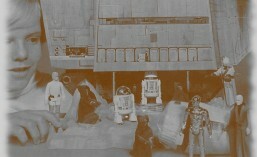 The Imperials regained superiority and the “underdog” tag was restored to the fledgling Rebels. 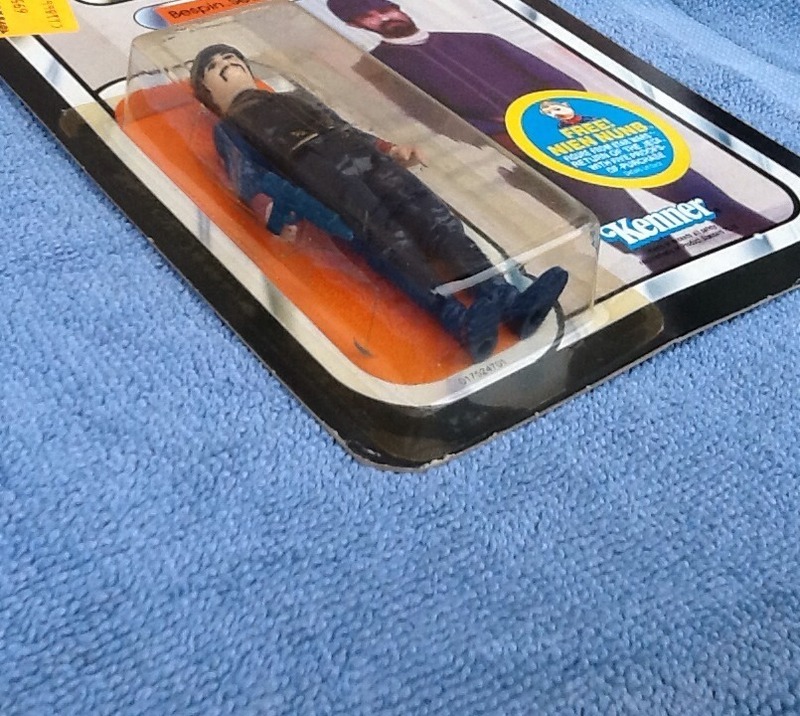 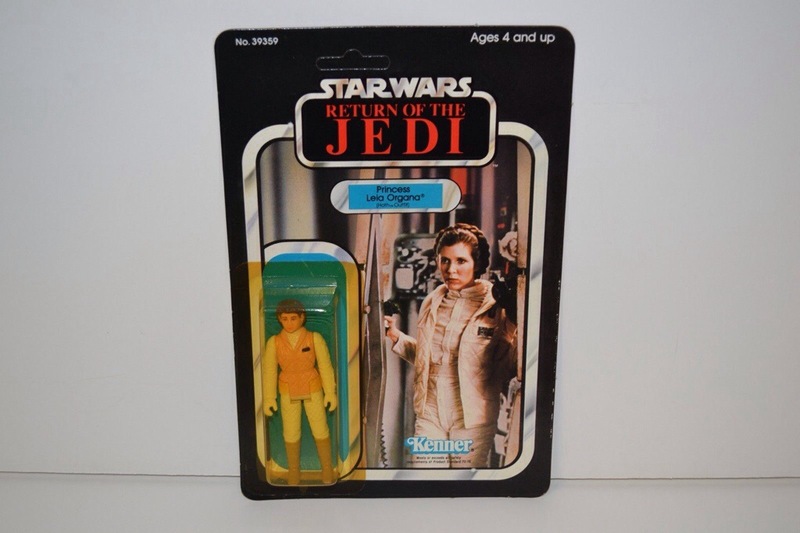 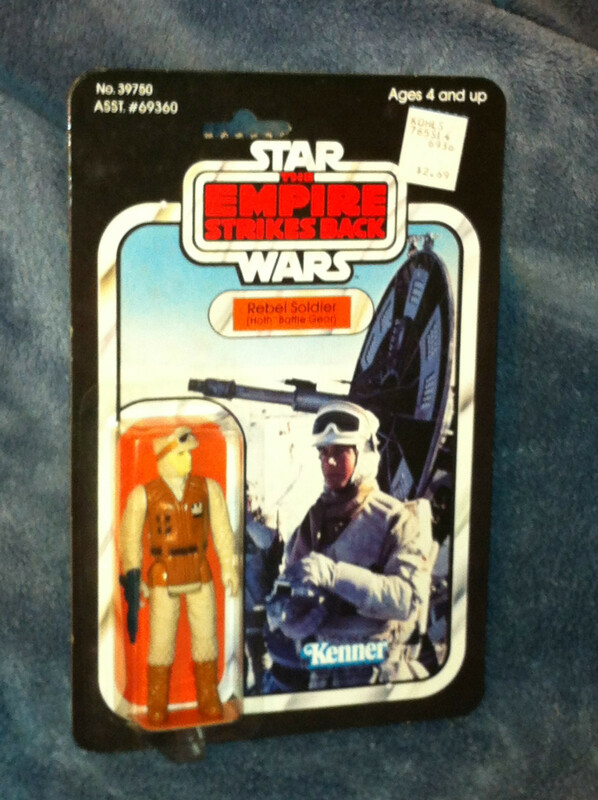 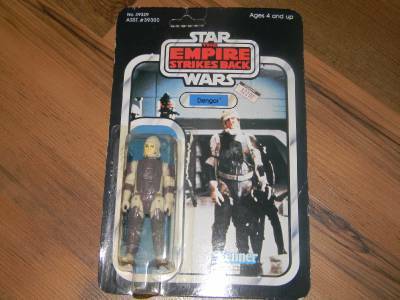 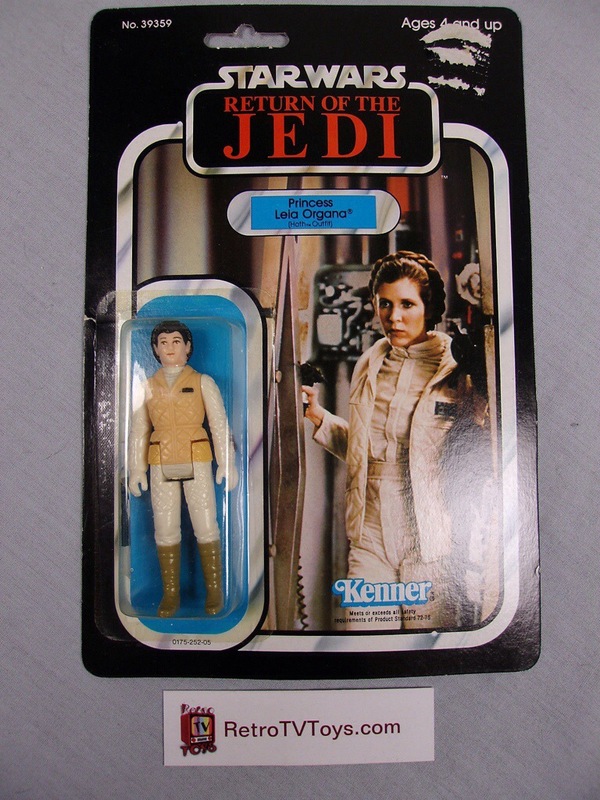 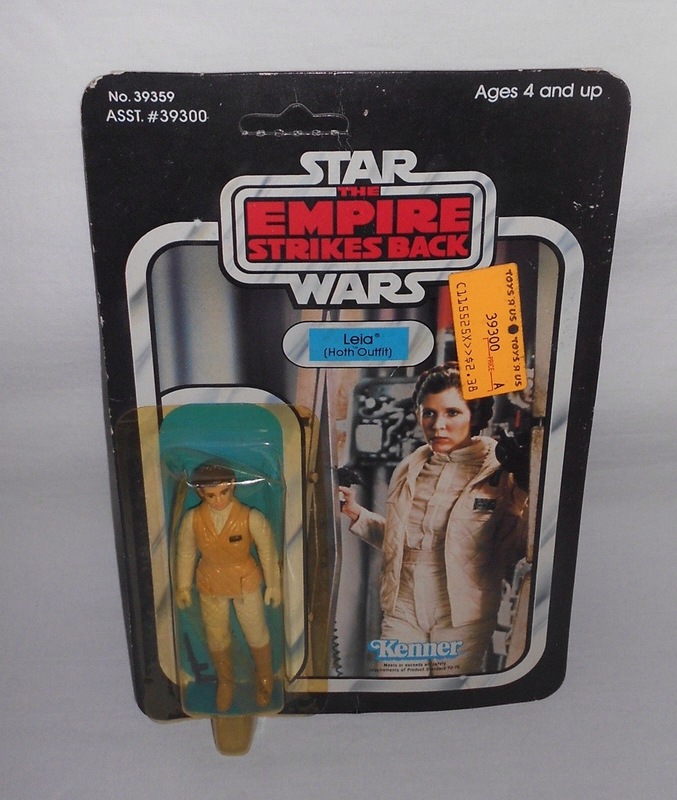 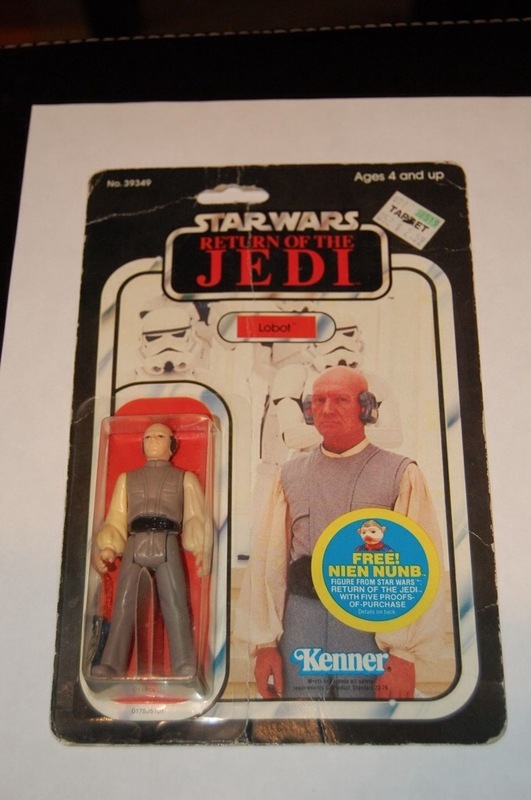 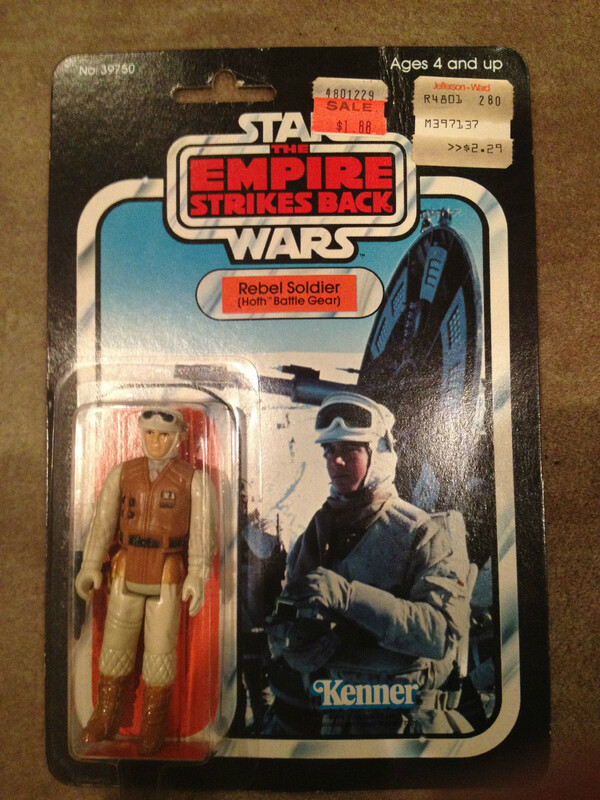 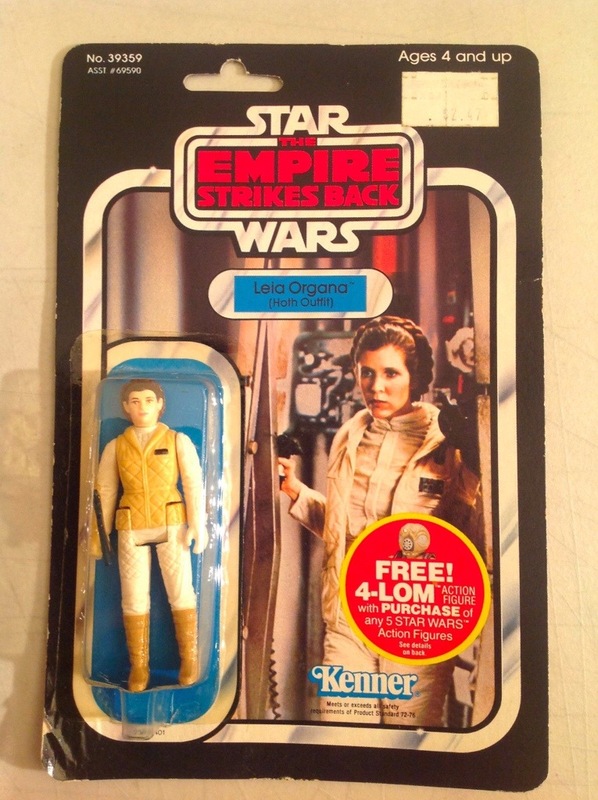 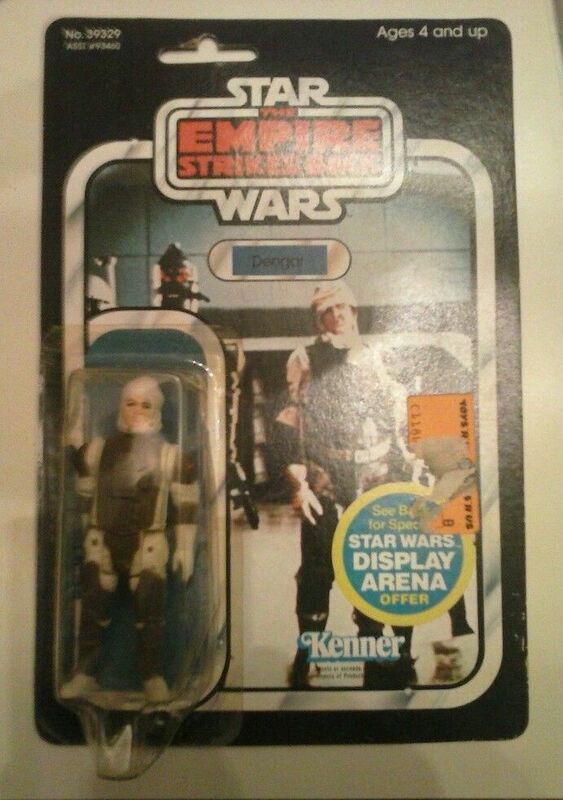 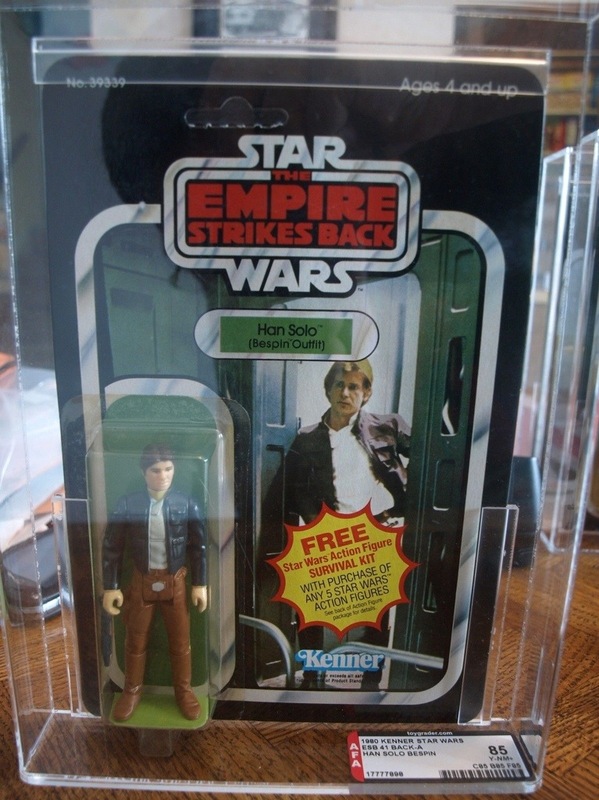 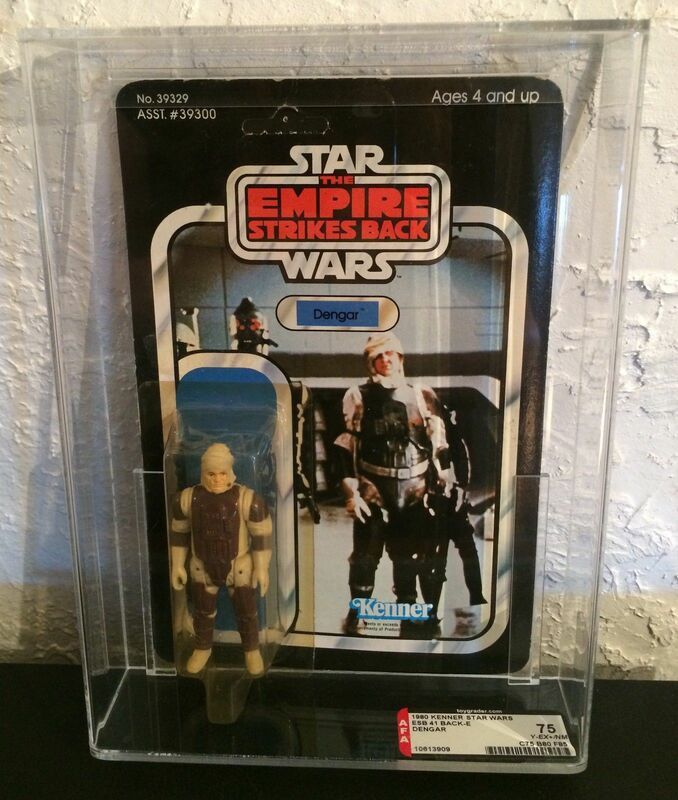 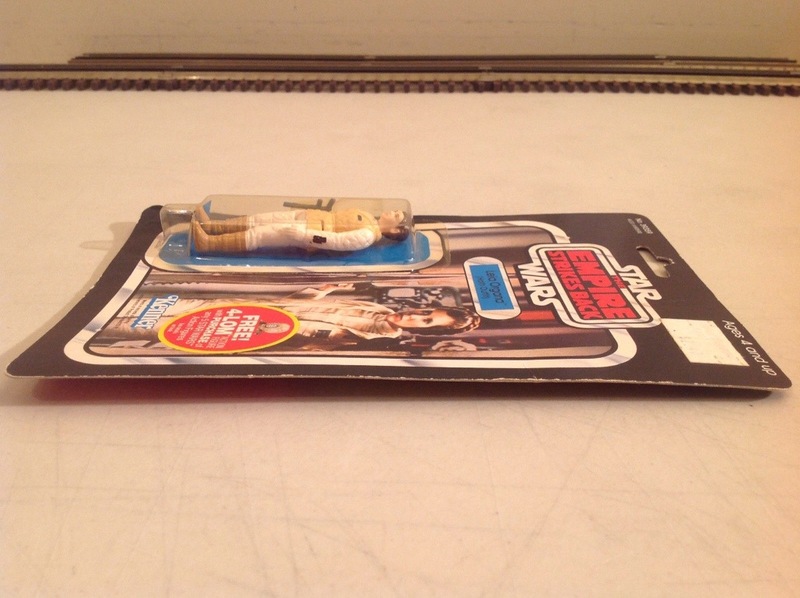 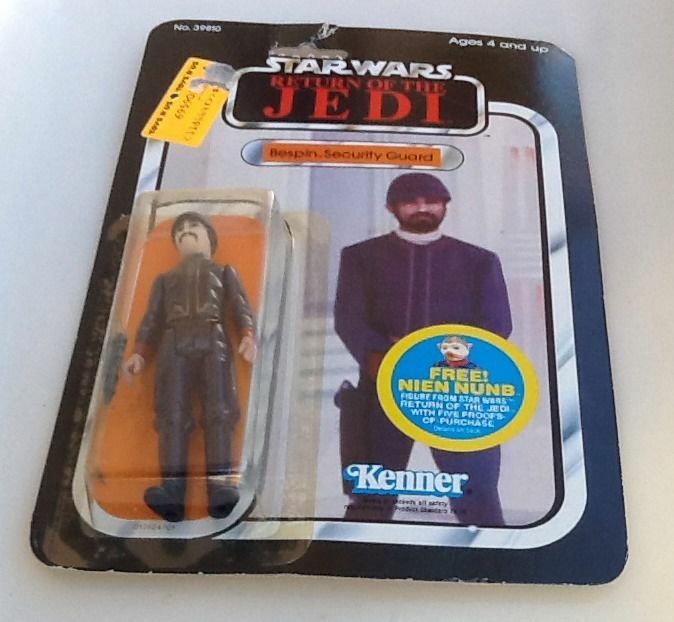 Anyway that is my brief movie thought, now over to the sales activity for this vintage figure …. 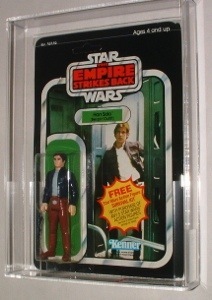 Back in 2006 I picked up a 31B graded AFA70 for $77, I then upgraded him a few months later with an AFA80 NM for $141. 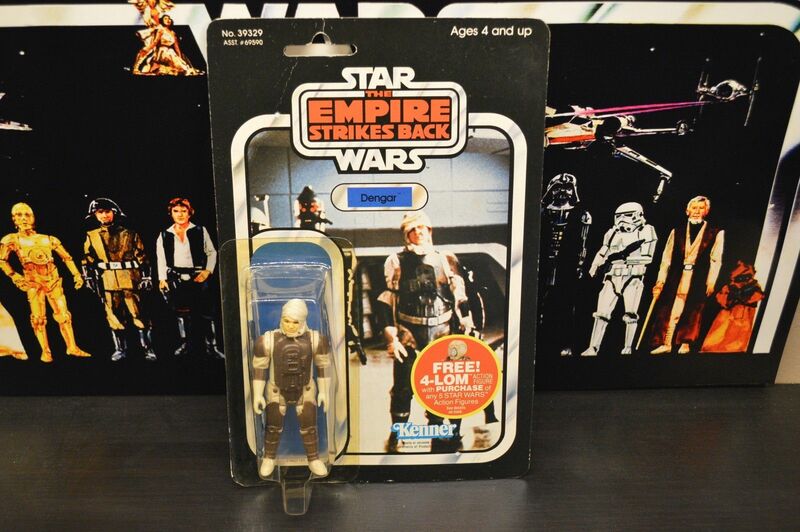 Some 7 years later and we’ve seen a decent increase, though after mining the data for this month it doesn’t seem his value is increasing like some of the other Empire figures. 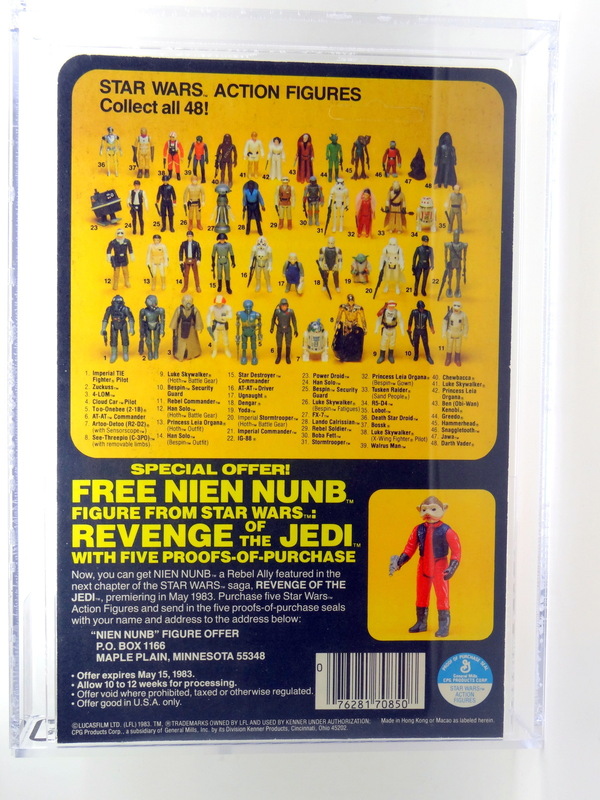 We had the usual high priced AFA85 item to kick things off with a $410 sale for a beautiful unpunched straight 85 example. 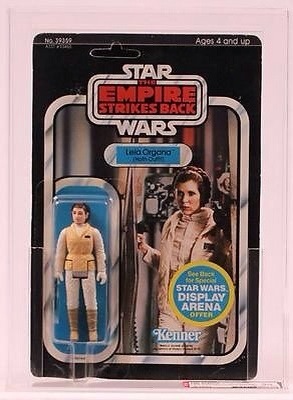 Really a beautiful figure and great display piece. 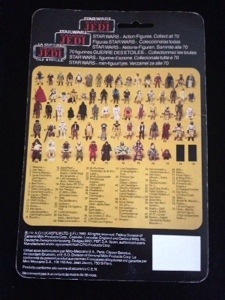 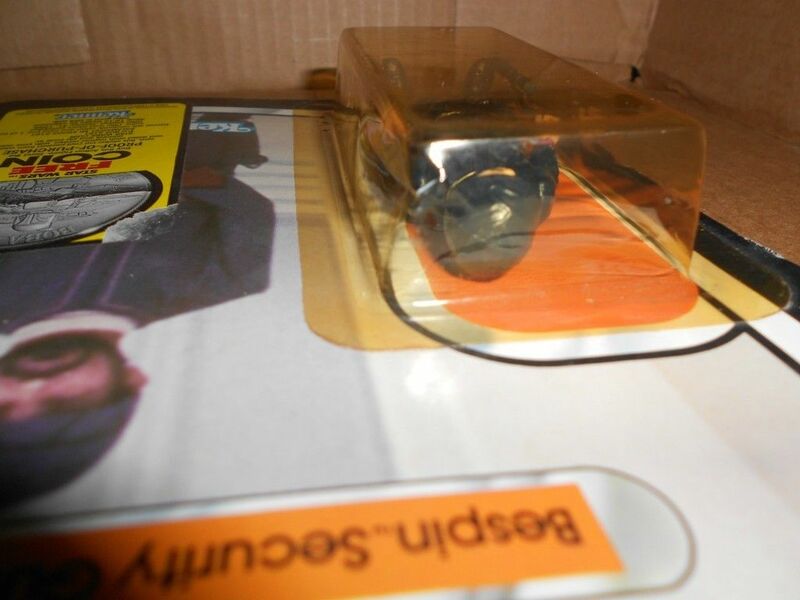 There was a 50% drop to an AFA80 (unpunched) as well – though this sold through BIN and really I think the seller left $100 or so on the table. 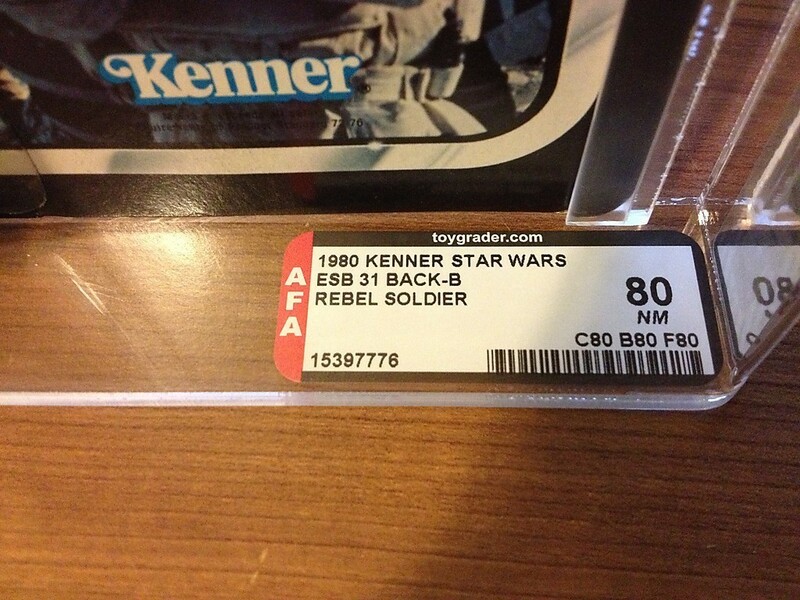 Rounding out the 31B debut card lot was an ungraded, in fairly average condition (not to mention two price stickers). 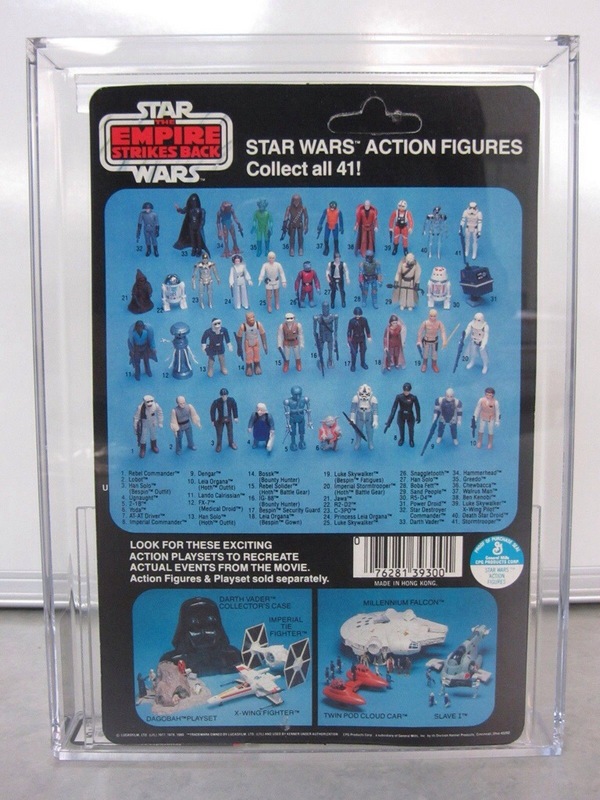 This sold for $125, which wasn’t too bad, but clearly the BIN AFA80 example would have been an ideal buy out of this assortment. 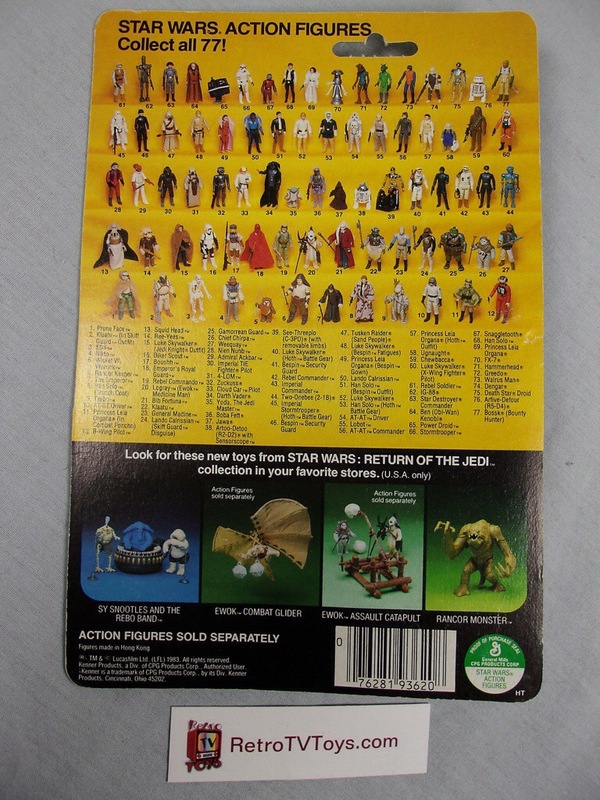 The 31 backs have really inflated in recent months, but I’d say the Rebel Soldier was at the lower end of the rises. 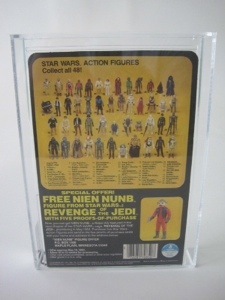 There was a big drop off to $43 for the 32 back – but with the card having quite a bad crease it wasn’t too surprising. 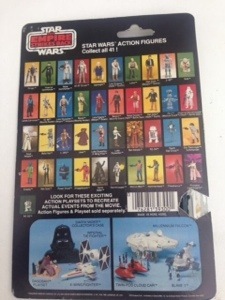 Though it does show there is still attainable cardbacks out there, and if you cased that figure up and displayed it, it really wouldn’t look too bad at all. 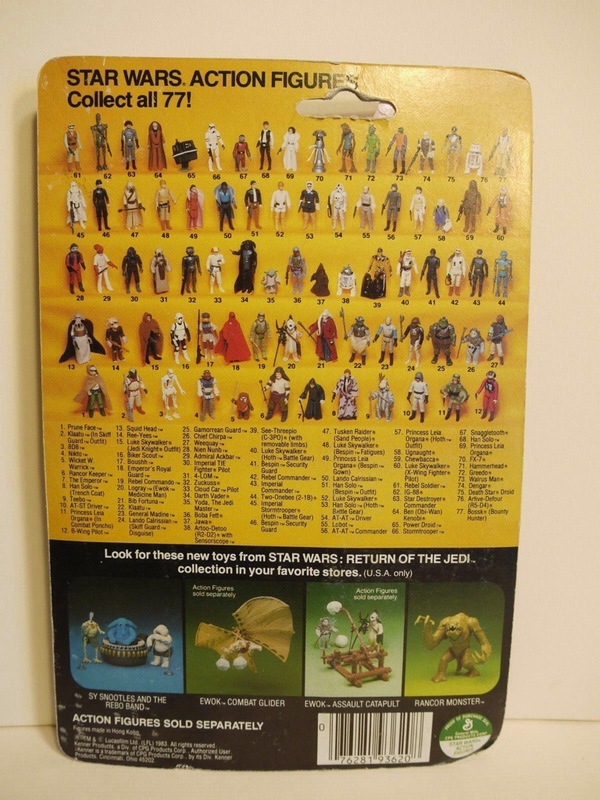 I didn’t have much luck with the 41 backs – though I did find an example of the 41B, which went for $160. 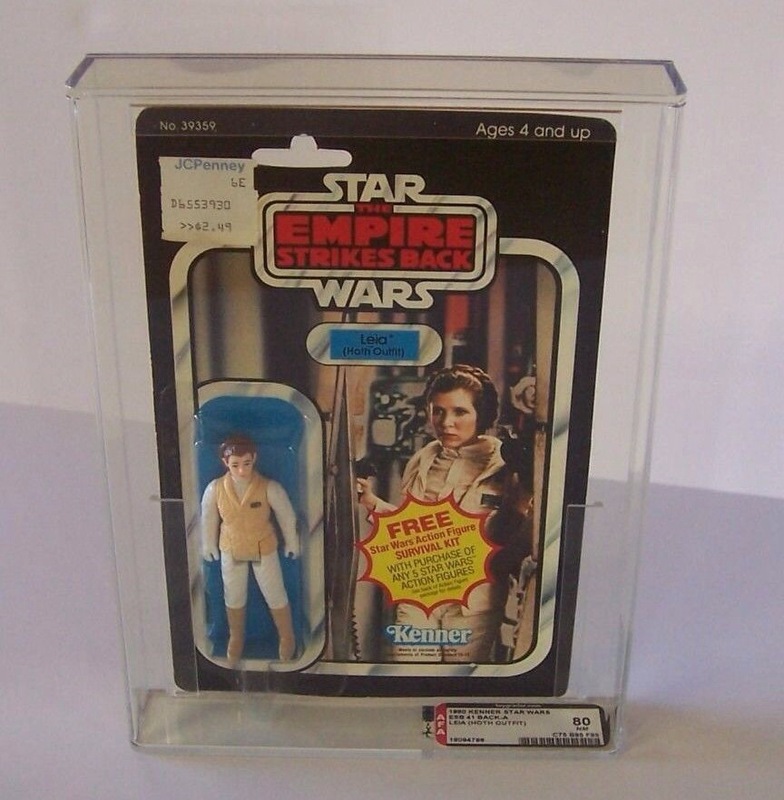 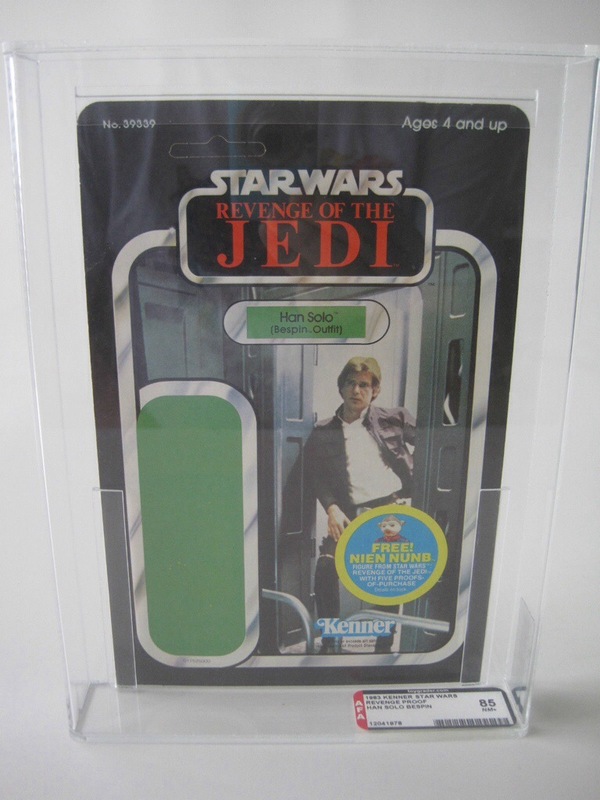 A pretty decent price, but given I am currently in the market for a 41B for Luke Bespin and I am struggling to find too many examples, I’m thinking there is a little rarity with these cardbacks, hence the higher price. 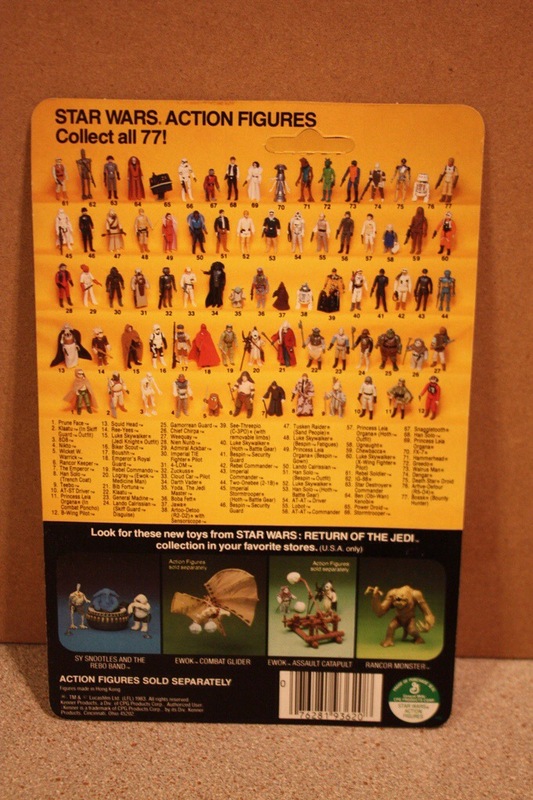 I did manage to track the 2 ESB 48 backs with the Ackbar offer – the 48A and 48B. 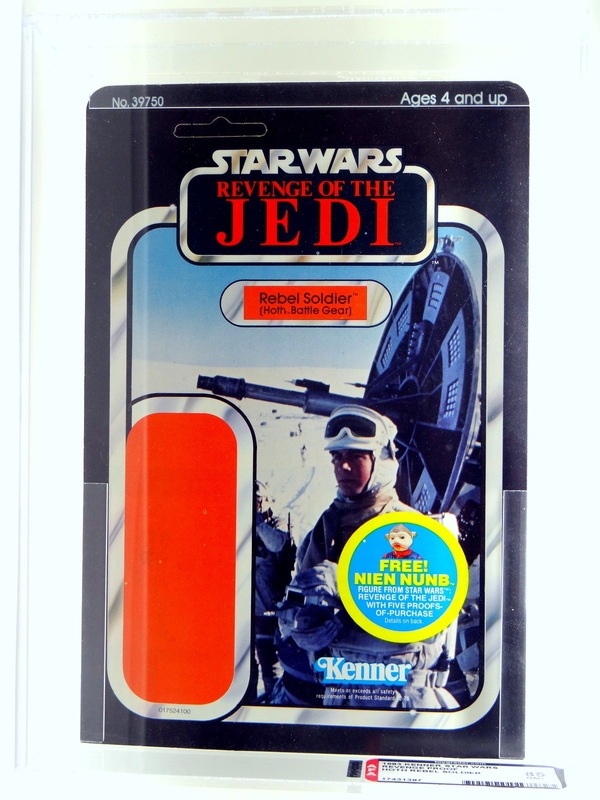 I love these two cardbacks and how the difference revolves around the color used on the printing on the header for the cardback. 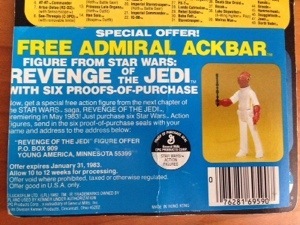 Try explaining that to your Wife when she says “you have this one already” !!! 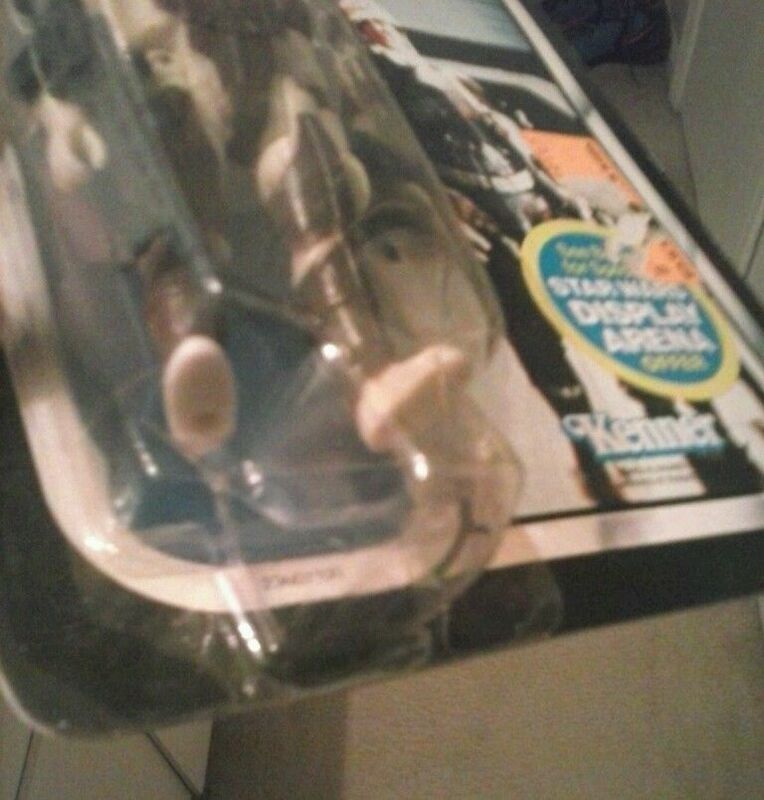 These were ungraded and sold for what I’d consider fairly cheap pricing. 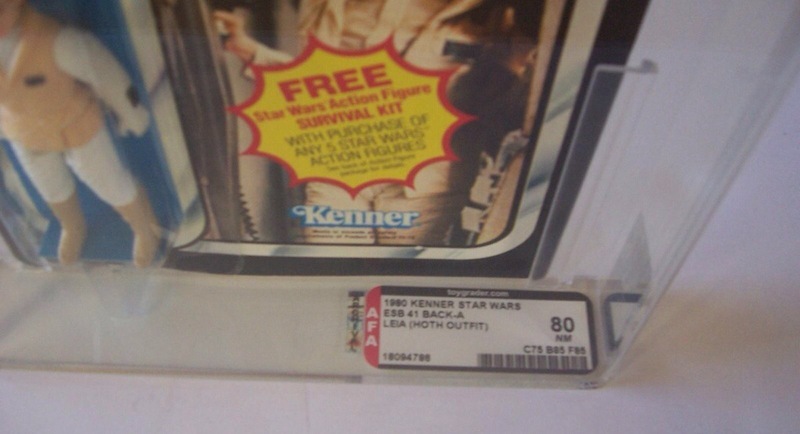 I found a couple of very nice Trilogos that sold, but with one selling for around $240 and the other in the low $100’s there was a fair price differential, for what seems like not too different a set of cardbacks. 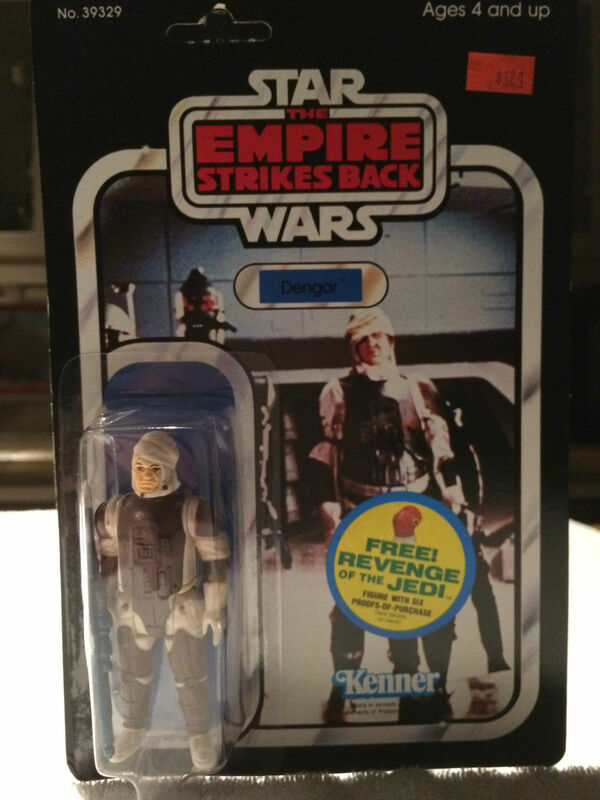 Lastly there was a beautiful Revenge proof, graded that sold for $335. 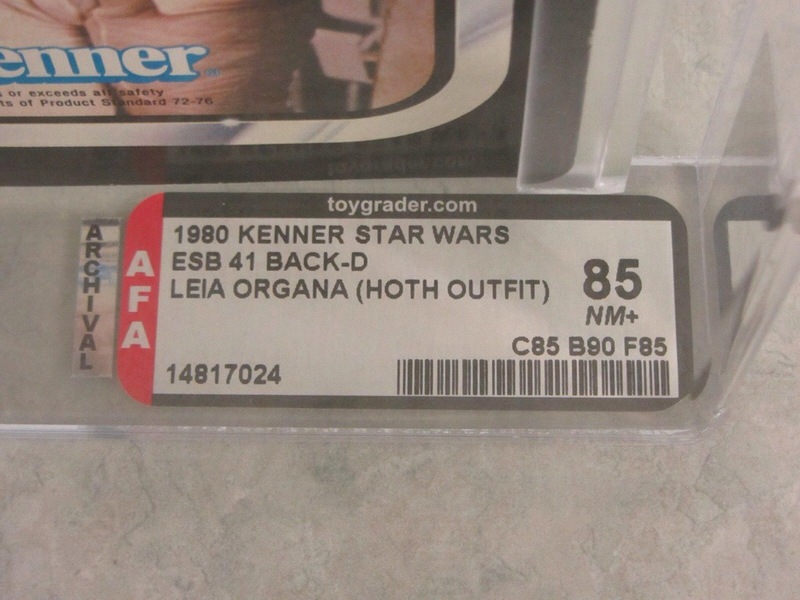 Good pricing for a pre-production piece that has been graded. 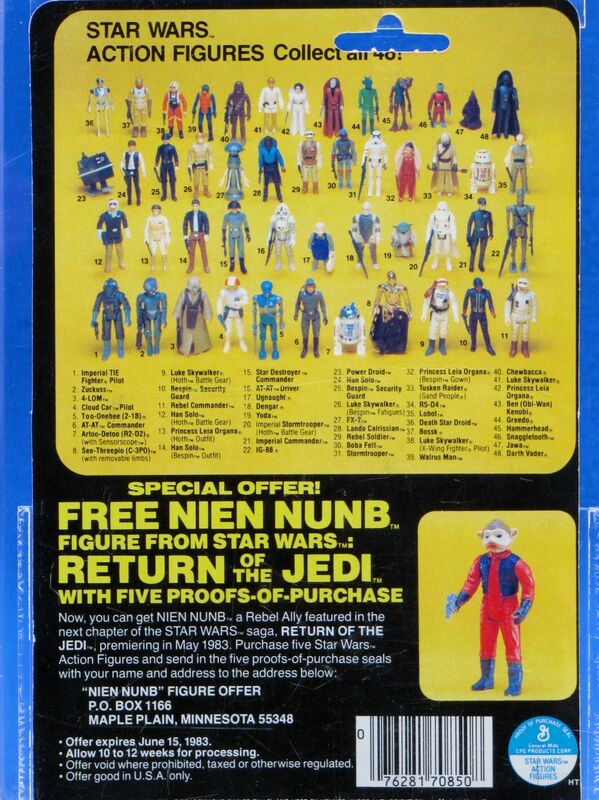 All in all a decent spectrum of examples and pricing across the sample for the month. 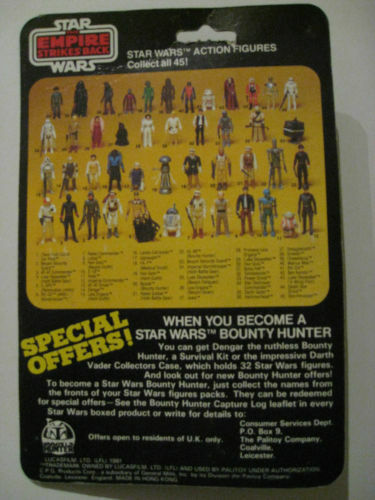 As expected his pricing hasn’t got too out of hand for the average collector. 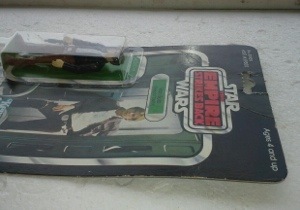 The 31B AFA85 is a beautiful example and I’m sure the owner of that was very happy to snag it.